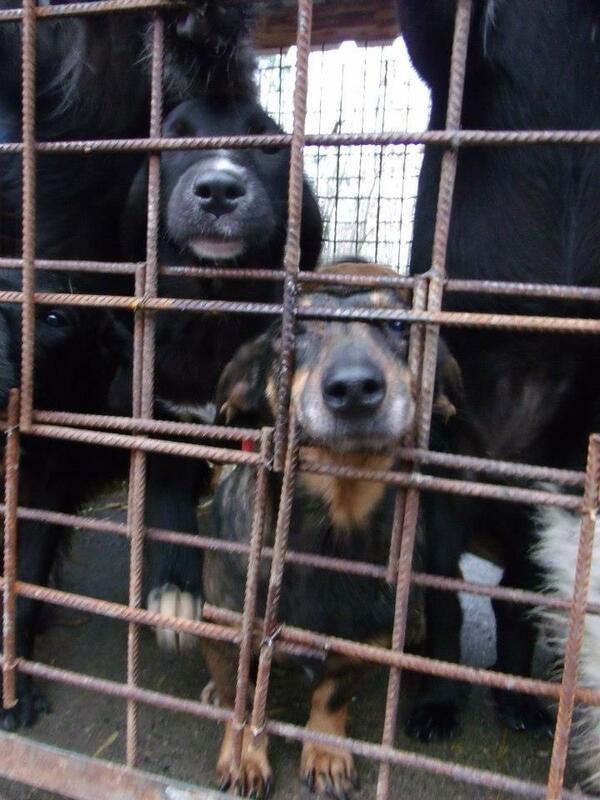 Animal welfare activists have informed us that Hreša is ‘open for business’. 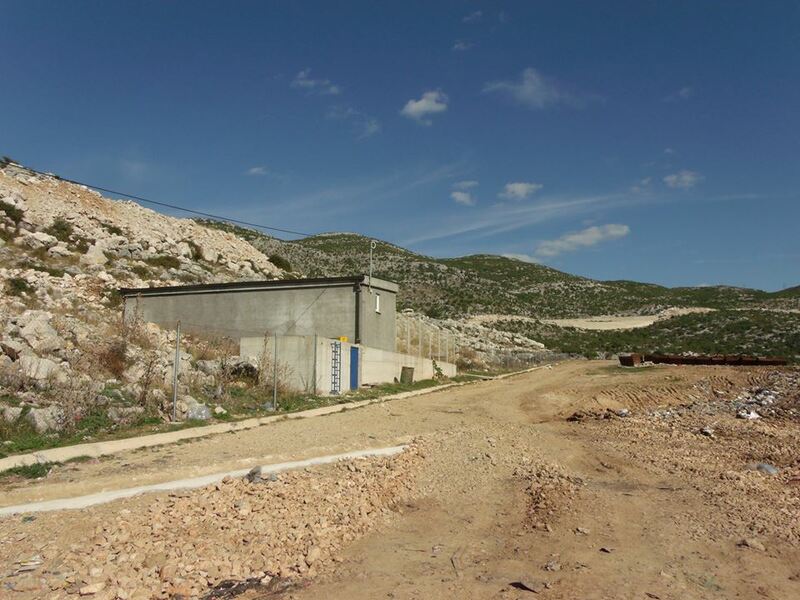 If you have read the other posts on Hreša and other ‘shelters’ in Bosnia Herzegovina you know what this ‘business’ means. 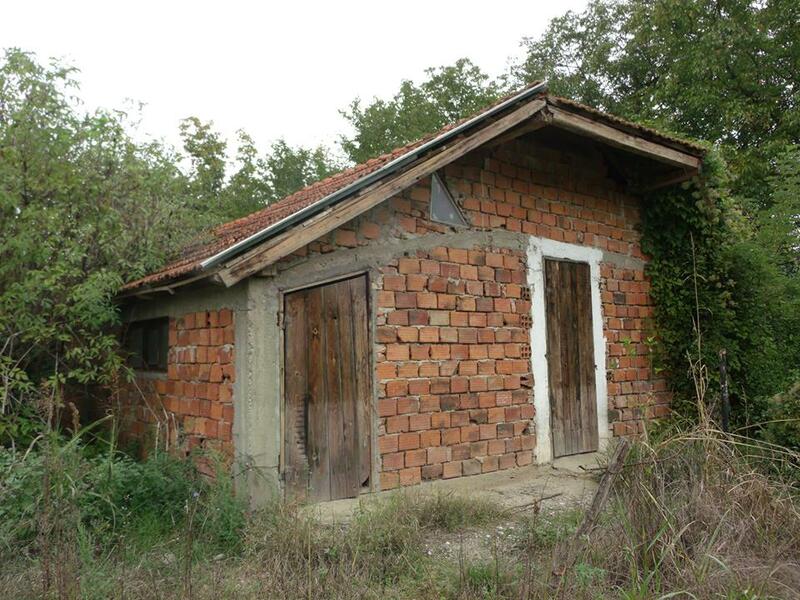 And more ‘shelters’ in the country have been visited and documented, Bratunac and Trebinje. 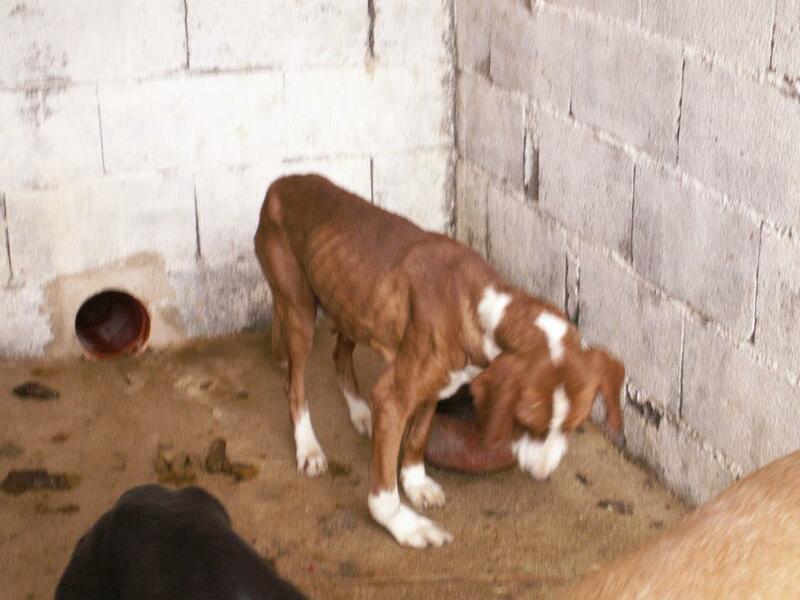 Like other shelters conditions are entirely unsuitable and contravene the existing animal welfare law in Bosnia Herzegovina which states that dog shelters have to provide proper care of the animals in the shelters, including proper vet care. For a full translation of the existing law, please download this PDF. 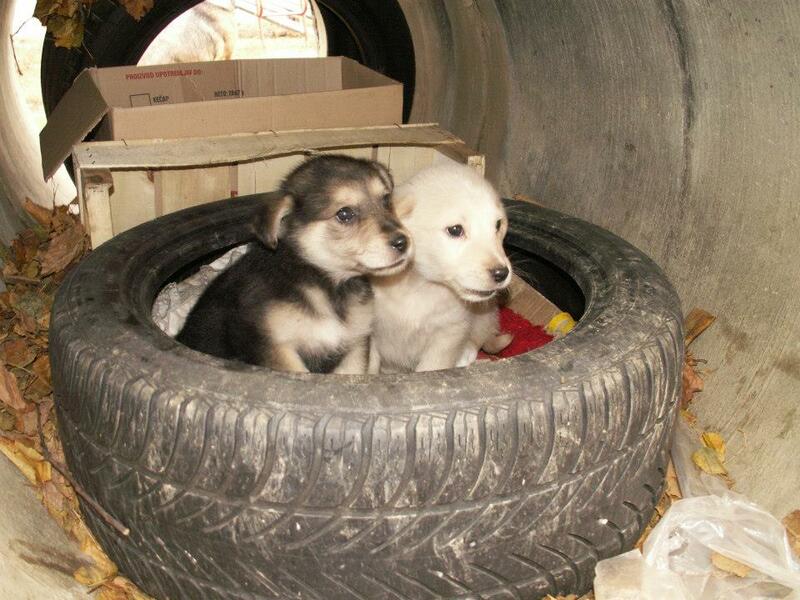 As always, the shelters are situated in out-of-the-way places, hard to find and on or near landfills and garbage heaps; the dogs are thin and hungry and without proper shelter or warmth for the coming winter. 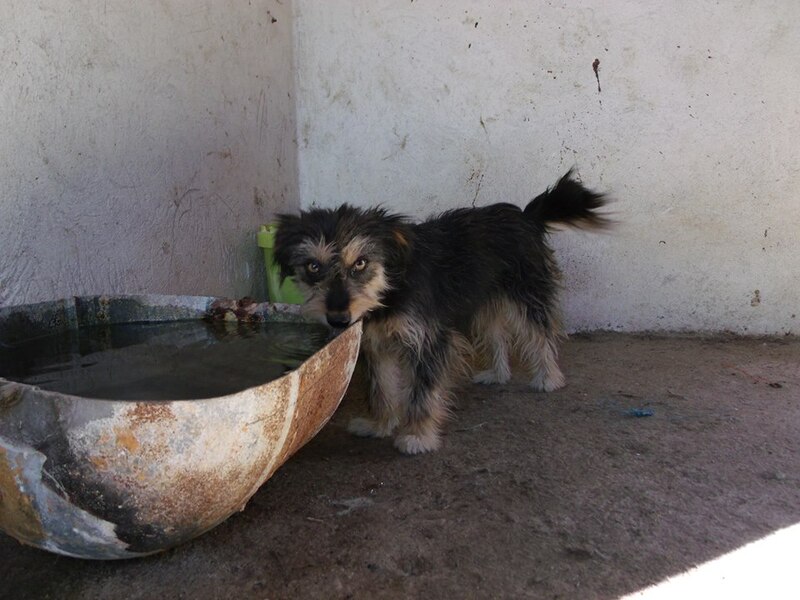 Generally there is no food or water seen, nor anyone to actually take care of dogs or to guard the shelters (remember dog fights are popular in Bosnia and ‘shelter’ dogs make nice ‘bait’ to train fighting dogs…). More photographs in the slideshow at the end of this post. 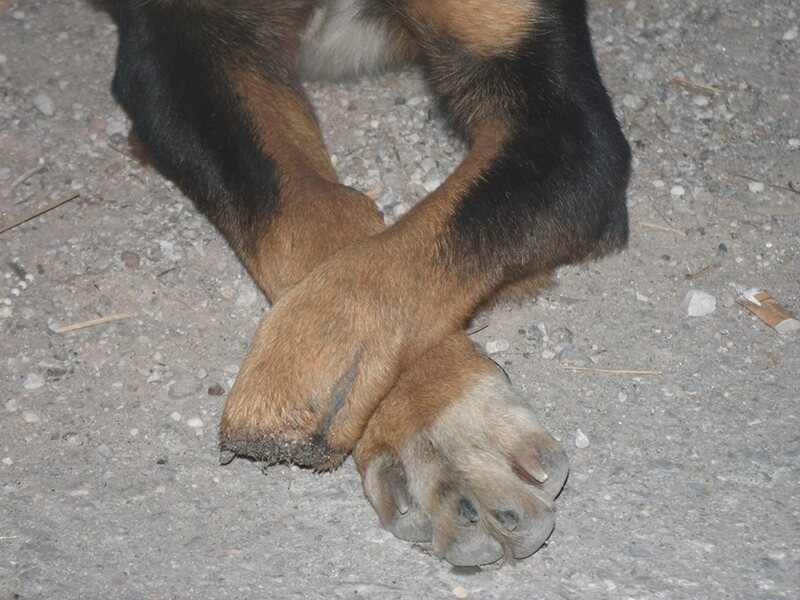 Just one “interesting” detail from Trebinje: on weekends dogs are without food or water as there are no workers there during weekends. 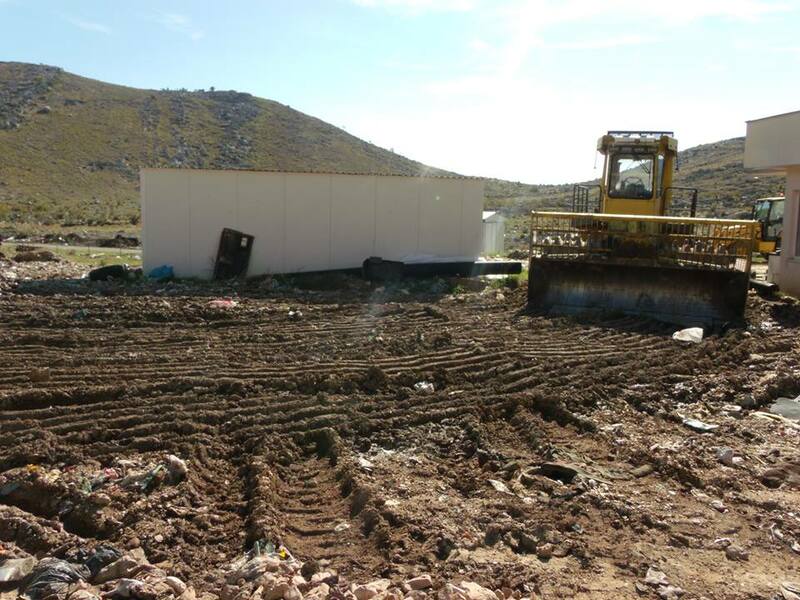 Activists were told by a worker at the nearby landfill told them that often when they clean cages puppies end up in drain holes. 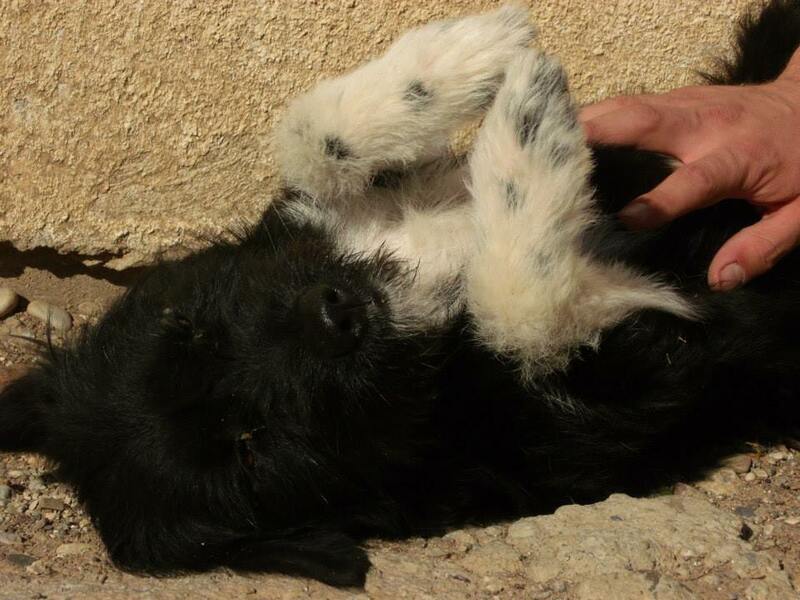 The activists found one right in it… a puppy under a month old. They rescued it from certain death. 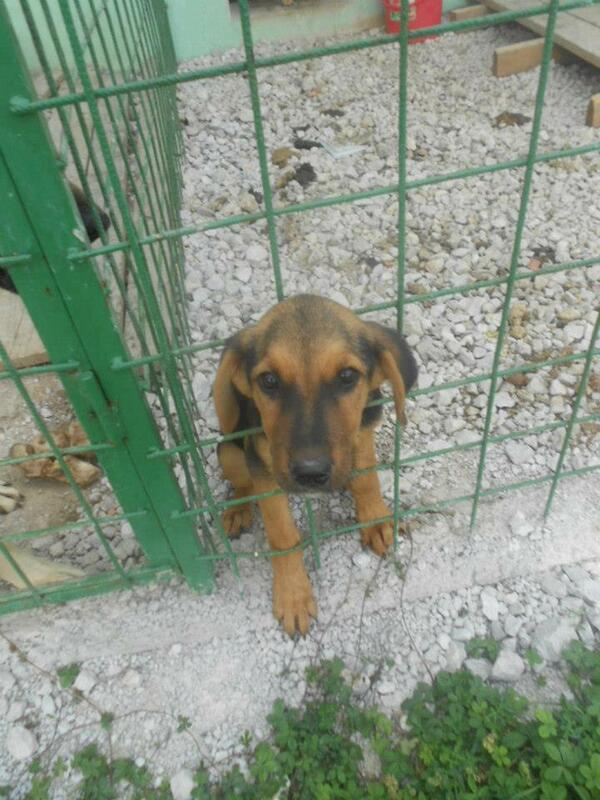 We recently made a post about the dogs at Foča shelter. 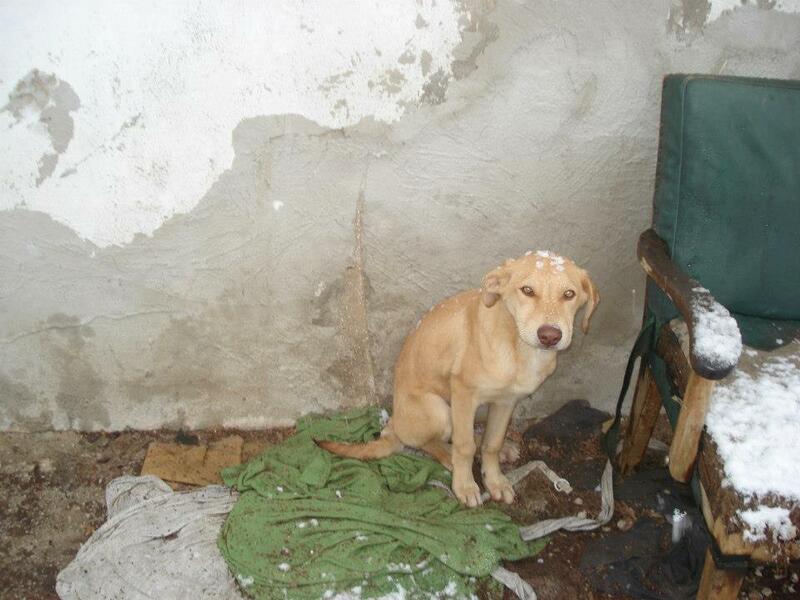 5 dogs were found in relatively clean conditions, although they only had white bread to eat. 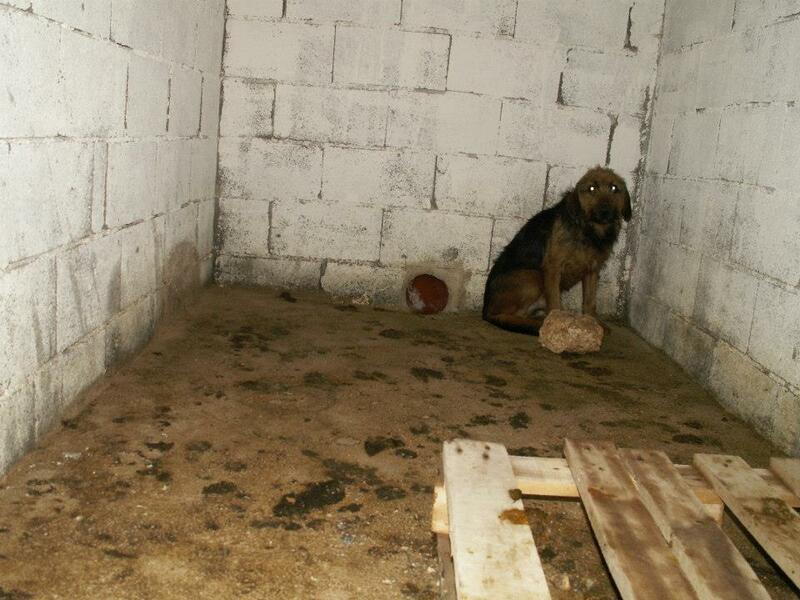 Activists were surprised about the shelter as they had seen so much horror elsewhere. The worker seemed to be kind towards the dogs. 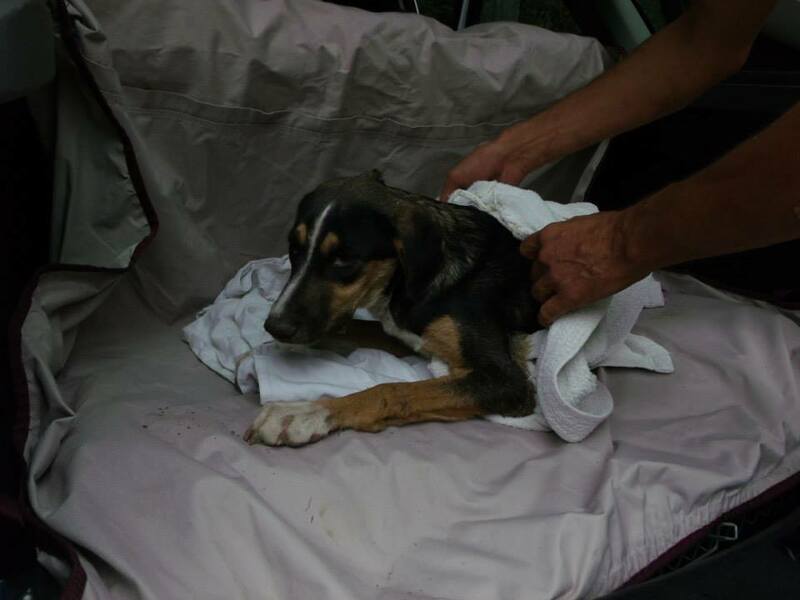 Funds were raised to release all five dogs into homes or foster homes or pensions in Sarajevo, and activists returned (it’s a long trip, about 80 kilometres) to collect the dogs. BUT ONLY TWO DOGS WERE ALLOWED TO GO! The worker seemed a different person, certainly not the animal-lover he’d portrayed himself as on the first visit. 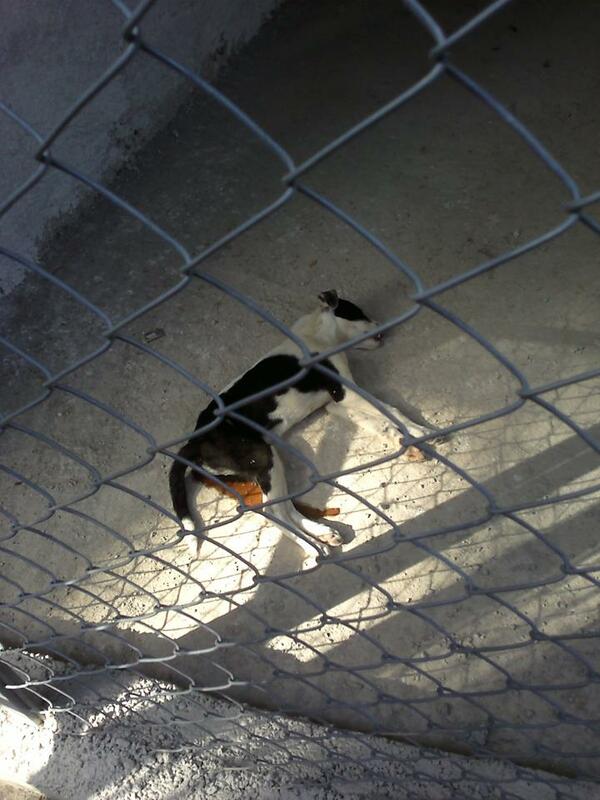 A new young puppy was in the shelter, and he kicked the puppy, right in front of the activists. 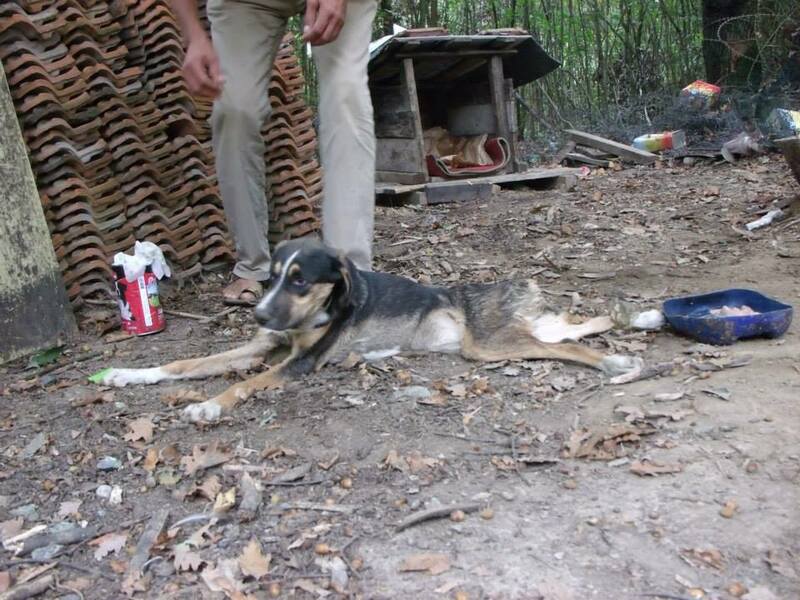 Activists left food for the dogs and they will do everything they can to get the dogs out, including the new puppy. This means making an appointment to meet with the local authorities and this could take some time unfortunately. 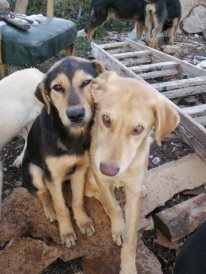 In the meantime these lovely dogs face an uncertain future… the lovely black and white one has an eye condition and may be going blind. 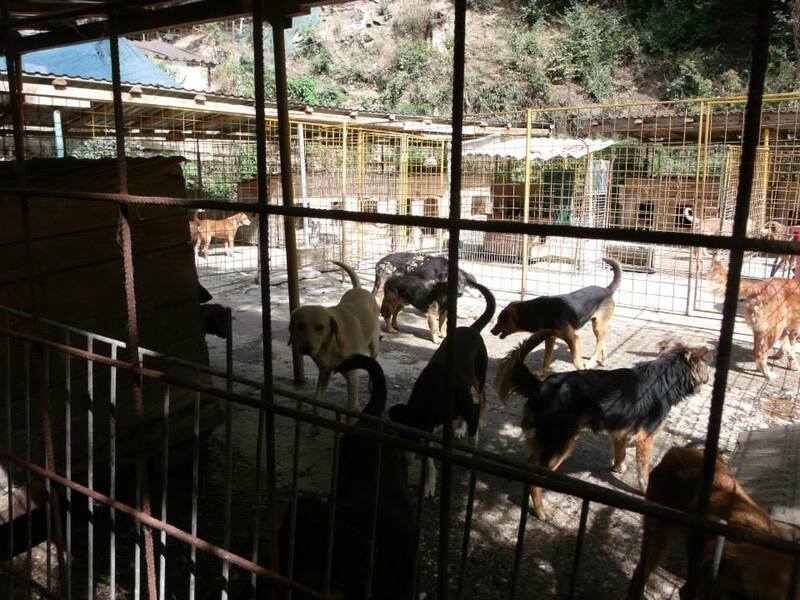 Without radical change in the how the authorities are dealing with strays, the only way to help the dogs in these shelters is for activists to visit them more often. 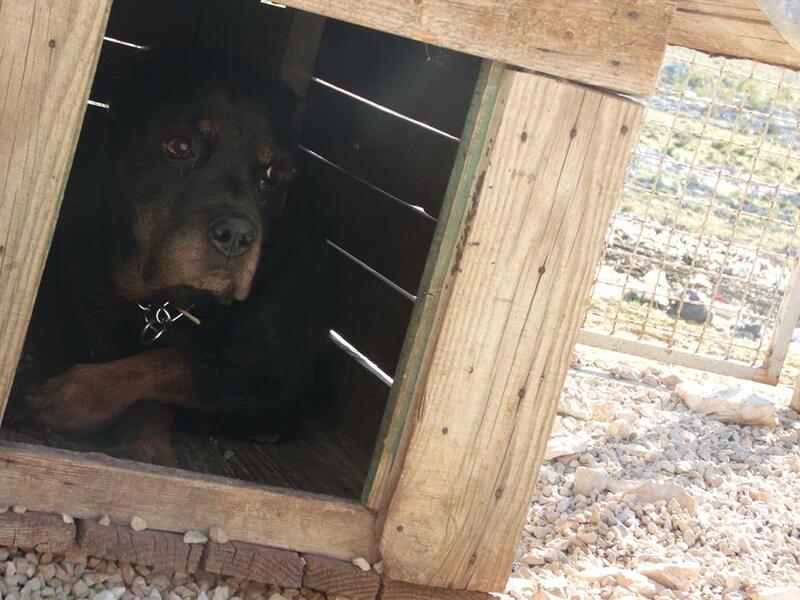 For most of these “shelters” no one never visits. 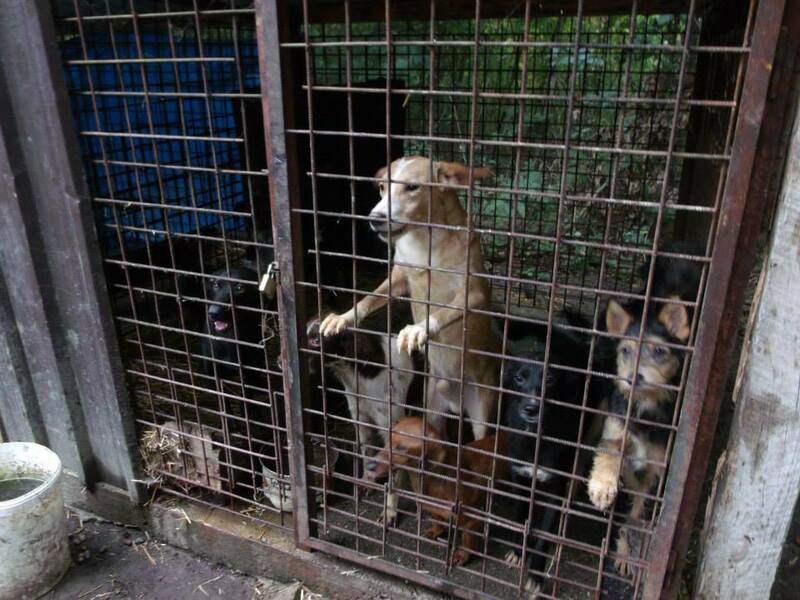 The activists are usually the first people after 3, 4 or even 5 years who express any kind of interest in the dogs in these hell holes. 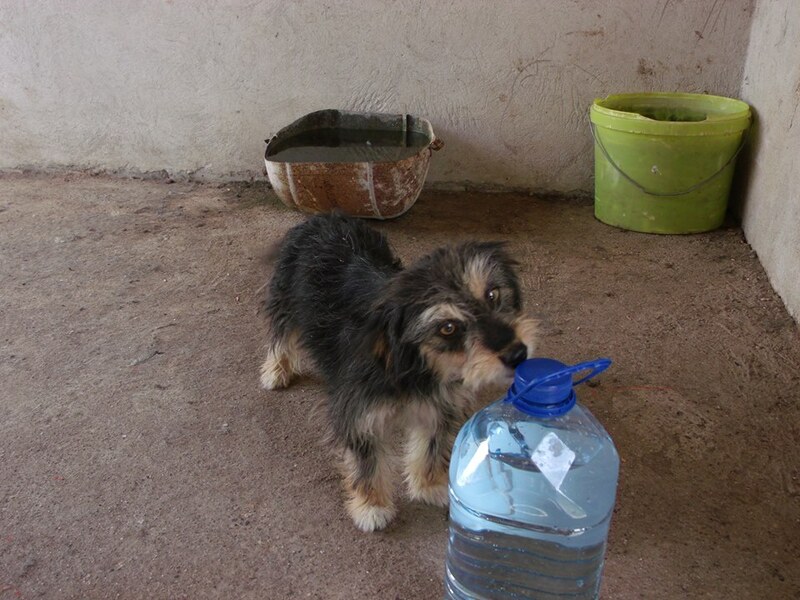 Funds are desperately needed just to pay for petrol to visit the shelters, and for food to be brought to the dogs. 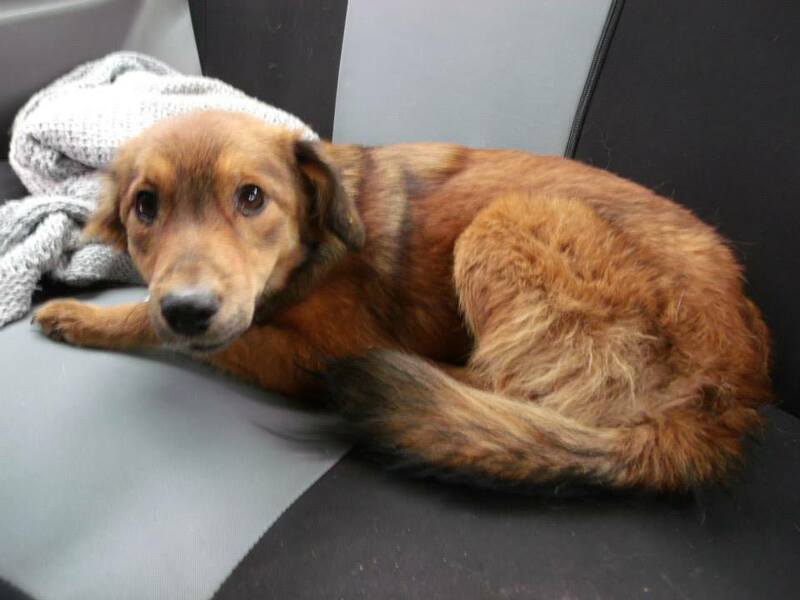 A stray dog found in Bratunac. 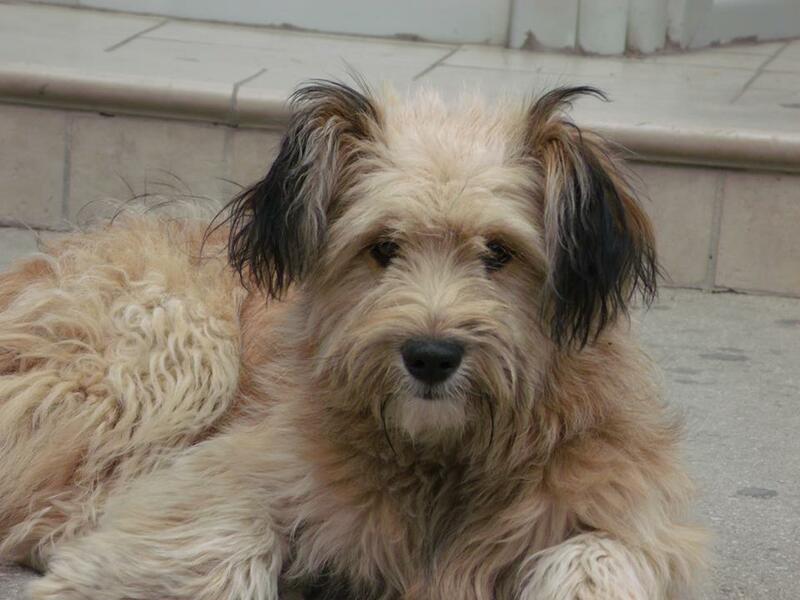 As you know, the Romanian Parliament has ruled that all stray dogs will be killed if, after fourteen days, they remain unadopted. 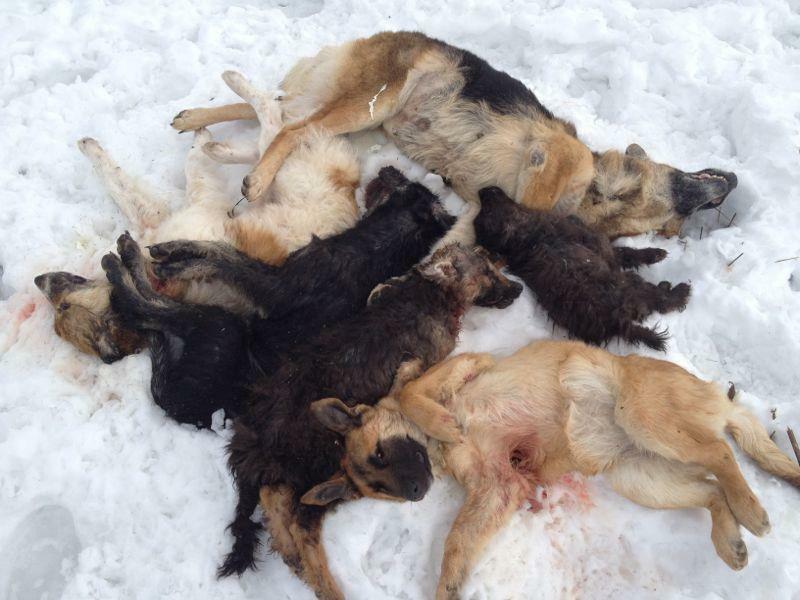 T he authorities in Bosnia-Herzegovina will use this as an example to enforce the same law and make it legal to kill all stray dogs. 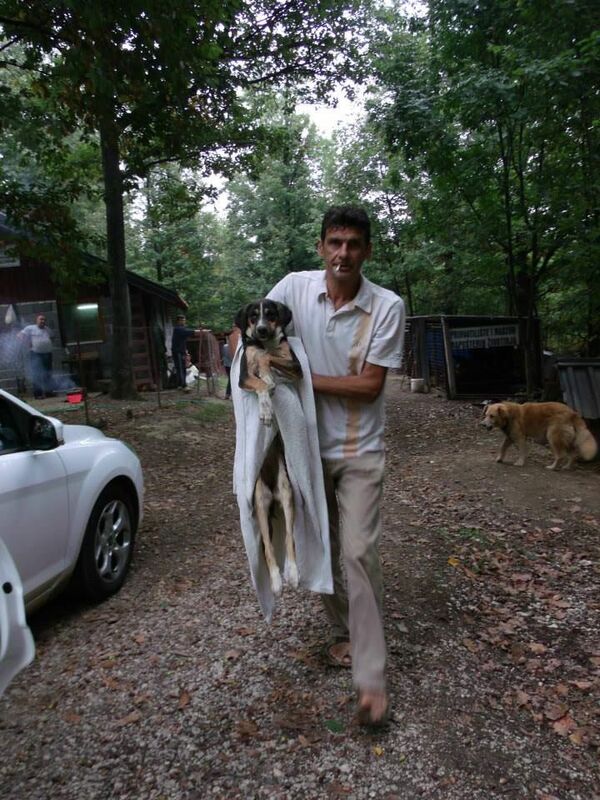 In fact, it’s already happening in Bosnia in spite of existing animal welfare laws! 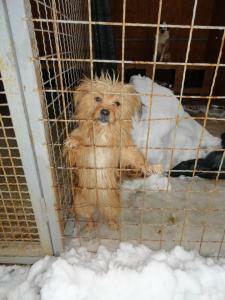 And unlike in Romania, there are no celebrities or high profile activists telling the world about it! 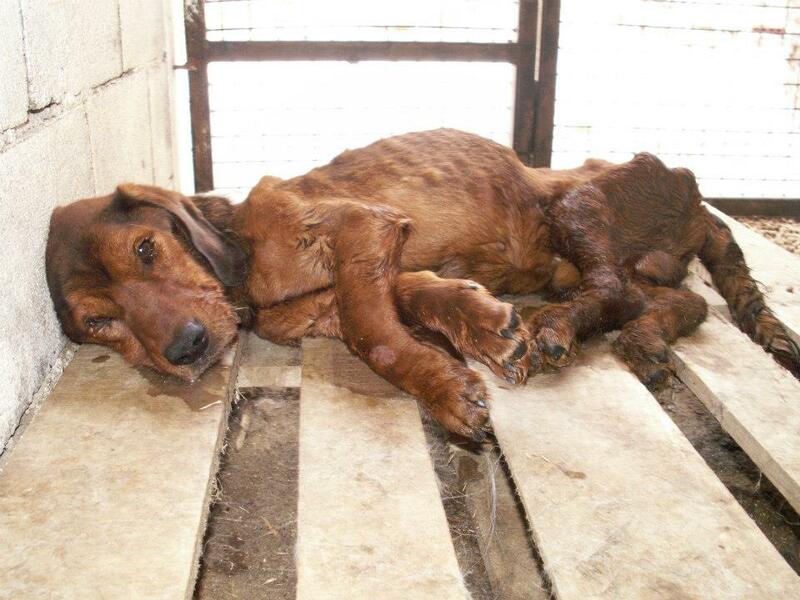 The existing Animal Welfare and Protection Act of Bosnia-Herzegovina is in fact a good and enforcable law. The only reason the law is not being enforced is because certain political and professional circles do not want to do it. 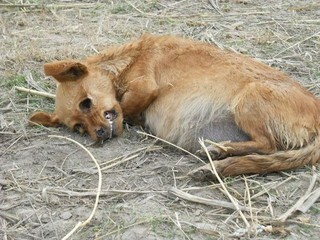 The law makes euthanising stray dogs illegal, – except a) when the animal cannot be cured and keeping it alive would only cause unnecessary pain and further suffering; b) the animal has reached such an old age, its vital bodily functions are terminating; c) the animal suffers from an incurable and/or infectious disease, or such a disease can represent a threat to humans; d) the animal is dangerous; e) the animal is in agony. 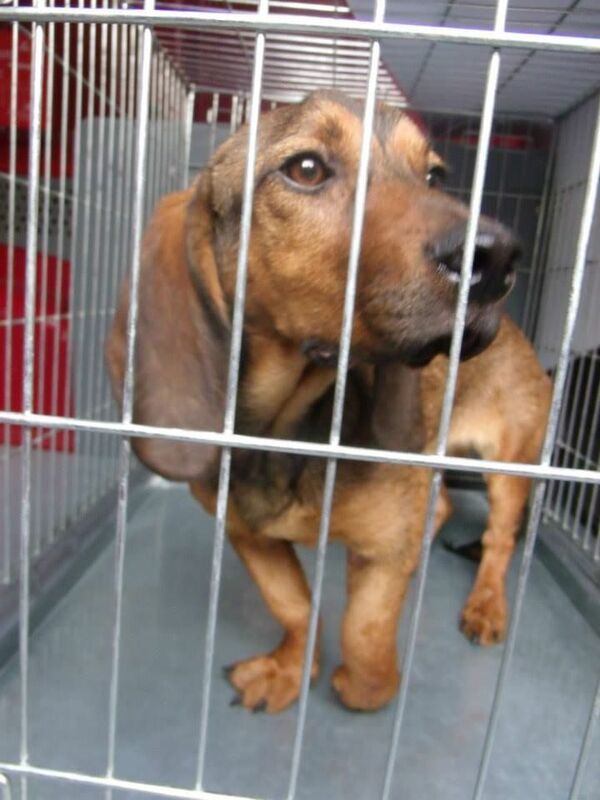 (The truth is, dogs are ‘euthanised’ randomly and seriously disregarding the above laws). 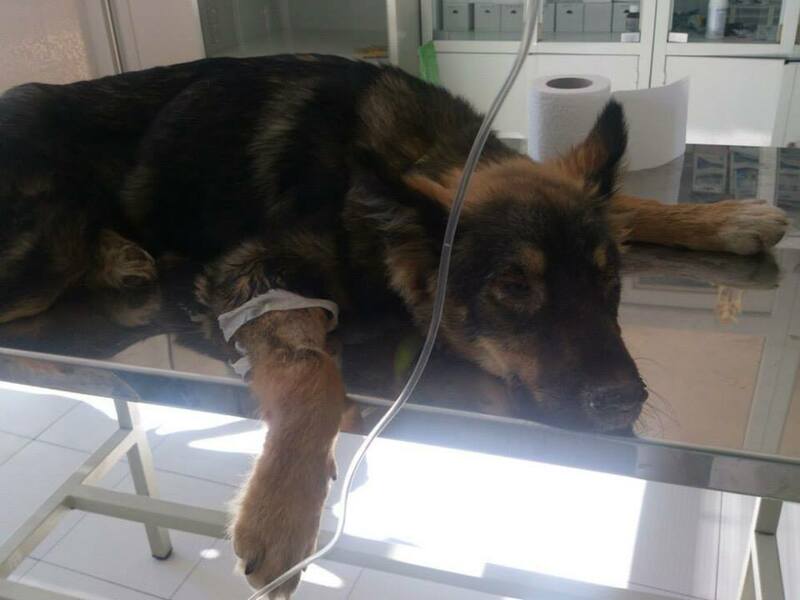 The government of Bosnia-Herzegovina wants to change this Animal Protection and Welfare Act to make euthanasia legal in all shelters. 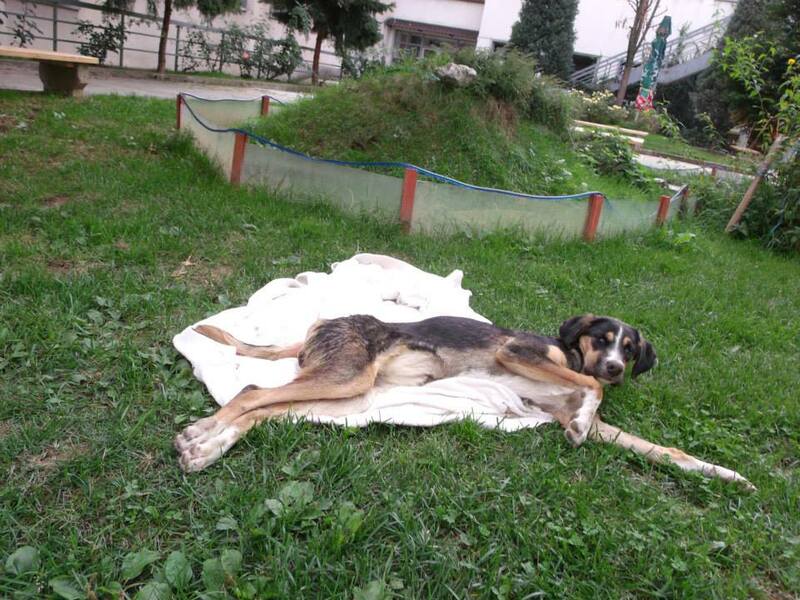 Euthanasia would be performed within 15 days from a stray dog’s arrival in a shelter. This is exactly what is happening in Romania, and if the law is changed, it will be used as an excuse to simply kill all the strays instead of implementing a humane stray animal management programe. The next session of the BH Parliament will be held on October 3rd 2013, and we need to do everything we can to ensure they do not change the law! 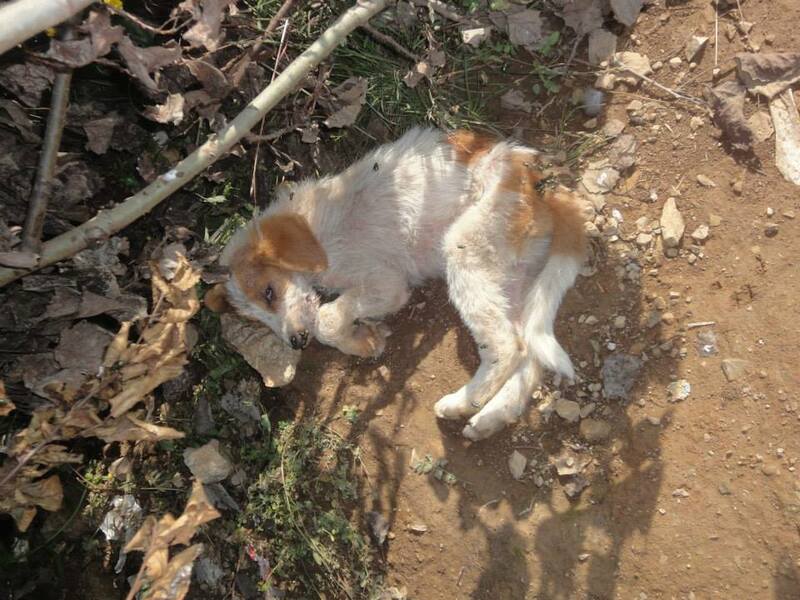 Please be aware that while ‘euthanasia’ may seem to be a logical way of dealing with an increasing and endemic stray dog population, this is a costly way to kill dogs and generally other, brutal, methods are used. 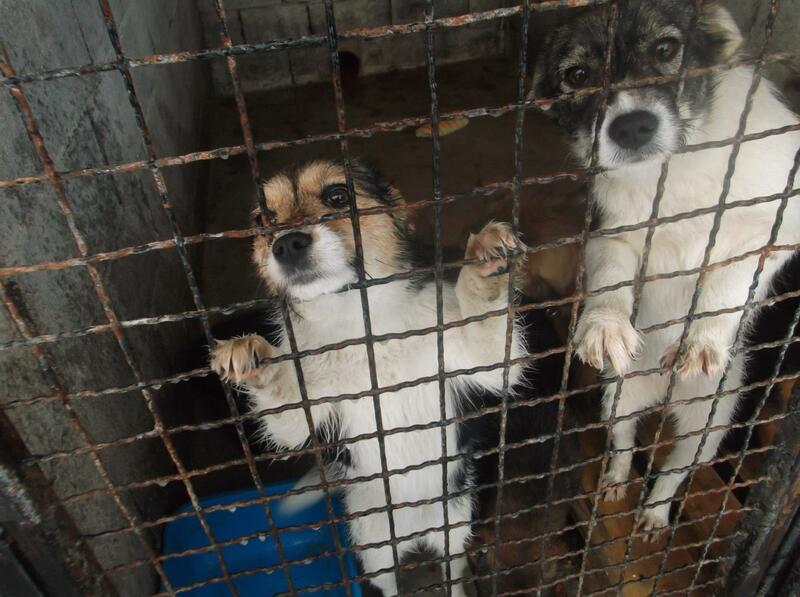 Please read Dog Shelters in Bosnia: A Complex Situation. Also note that “Catch & kill” or “catch & incarcerate” policies have failed in numerous other countries. 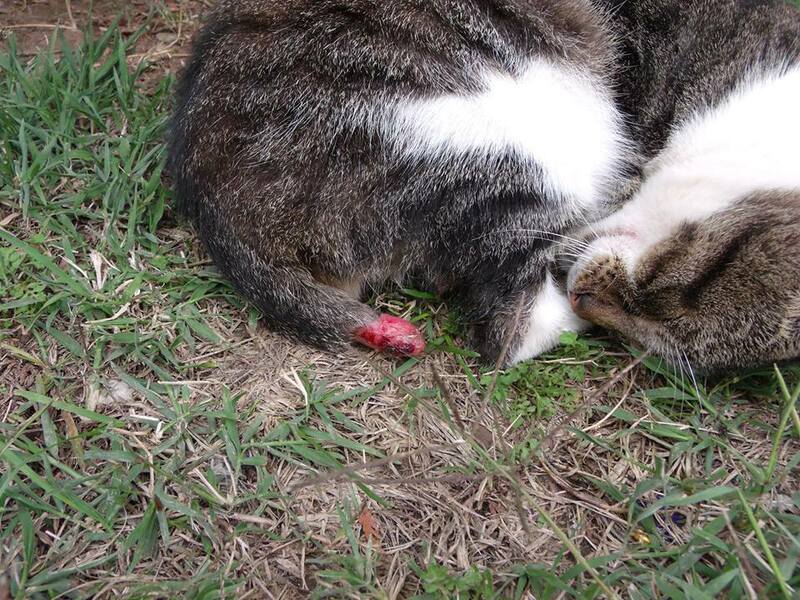 Cities that have successfully managed and curbed their stray animal population were those that opted for a “catch & return” policy. “DOGS ARE GUILTY OF EVERYTHING! LET‘S KILL THEM ALL! 1. 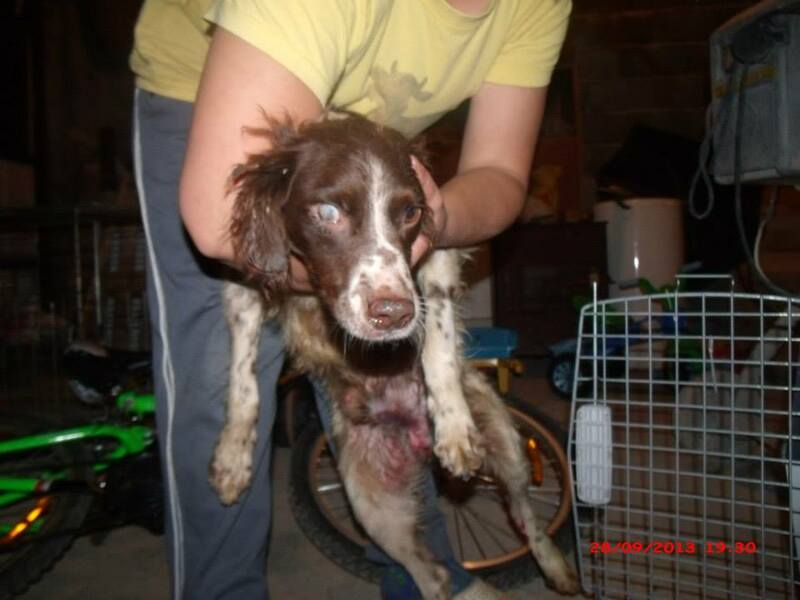 You load dogs into a van, using the method “as many as you can cram in”, and you throw them out in a hunting ground and inform the local hunters’ association about the “problem”. 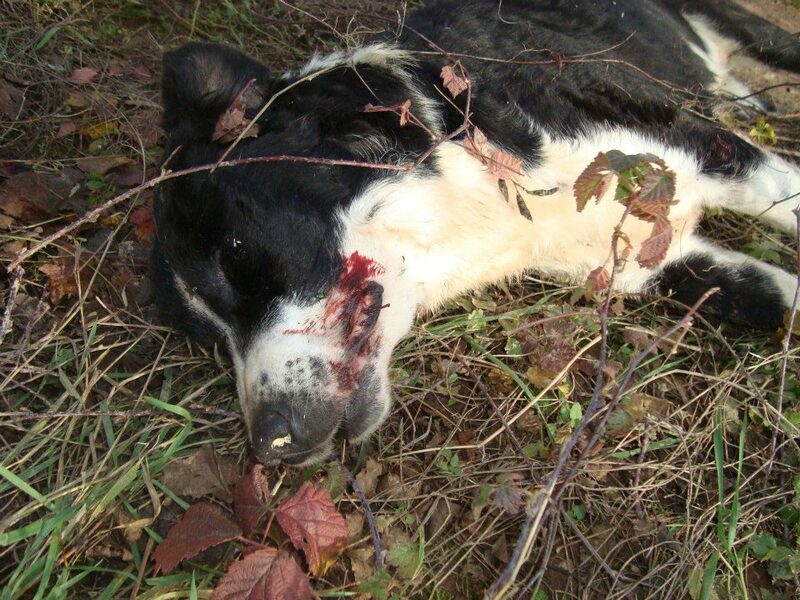 After the animal activists come, authorised persons suddenly become “unauthorised”: when activists find out about killing dogs, people, who are responsible for this and who are authorised to prevent and punish those who kill dogs, pretend that they are not in charge of investigating actions such as killing dogs. 2. As a “competent person” you make some sort of an agreement with the local mayor, and since you do not feel like stepping out of the car, you simply open fire on the dogs in the settlement from the car. It is desirable for the car to be moving and that there are children nearby, of course. 3. 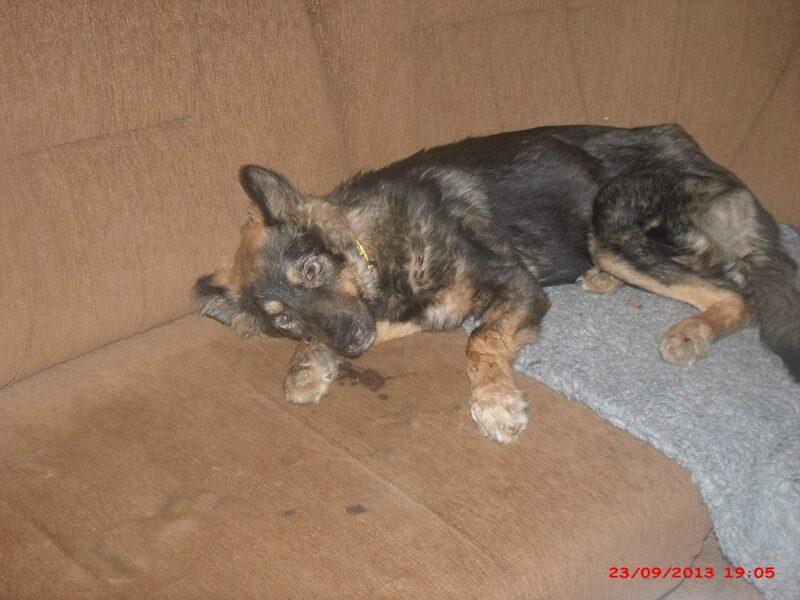 As a local “boss“, and if possible, a criminal with a piece of land, you make an agreement with the Mayor, the police and the veterinary inspection and you open a “shelter” for lost and abandoned animals. The Veterinary Office says “Bravo“! 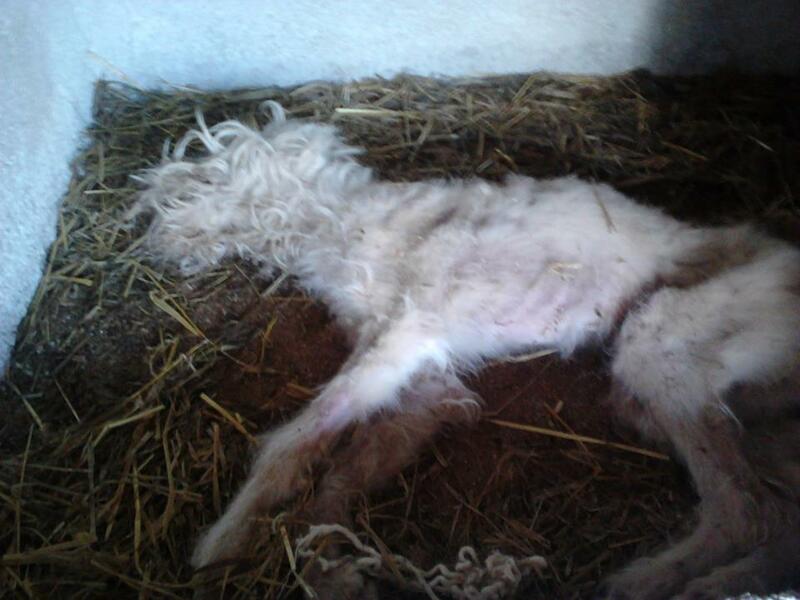 You are implementing the Animal Welfare and Protection Law of Bosnia and Herzegovina.” (In principle, this is correct, but…) And then, you take them for a lamb lunch in local restaurant, and there you sign the agreements and fulfil conditions for the “implementation” of the Law. a) First, registration is not necessary because, “Why should I care, f… dogs”. b) Then you inform the media of your activities. 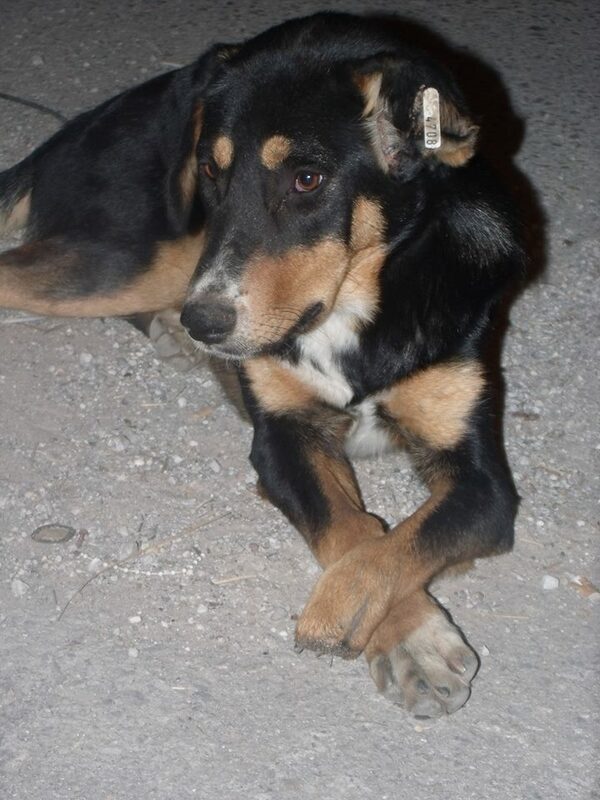 The mayor says: “Our team of dog catchers is made of highly trained people. Now citizens will be free and fearless to walk through settlements which, until we had this brilliant idea, had been filled with stray dogs, and, by the way, vote for me in the next elections. 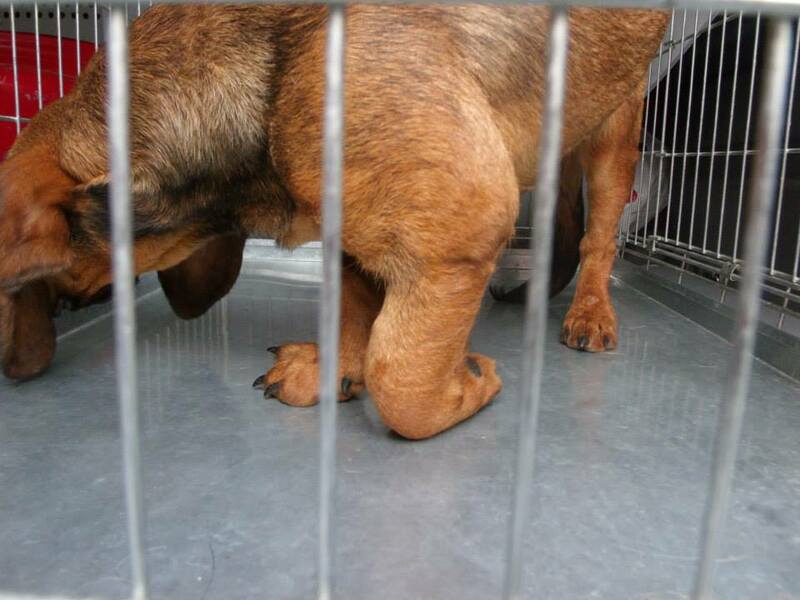 c) The “highly trained professionals” start catching dogs and placing them in the asylum. The Director and the Mayor talk regularly and have business meetings, over beer and roast lamb, in case there should be something else that needs signing. Everything has to be according to the LAW, right? 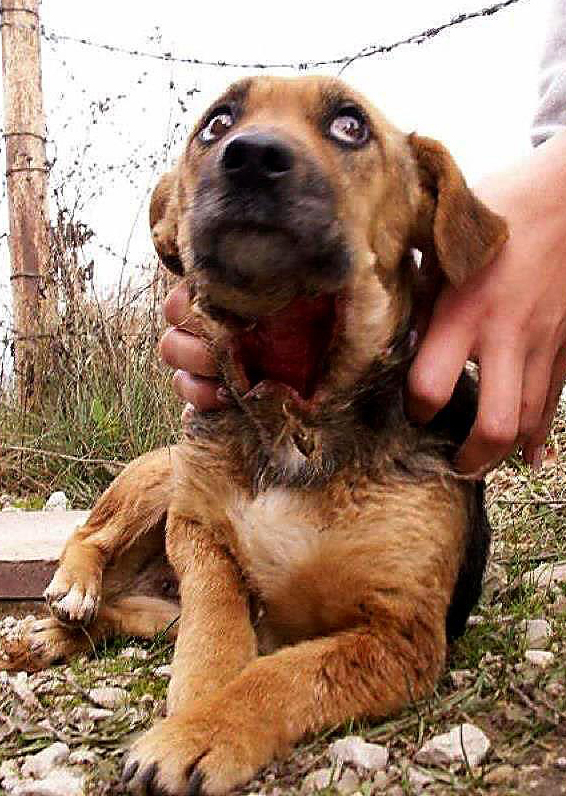 d) The dogs from the shelter are killed using various methods: hitting them with a hammer on the head, putting poison in their food, and every now and again euthanizing them. 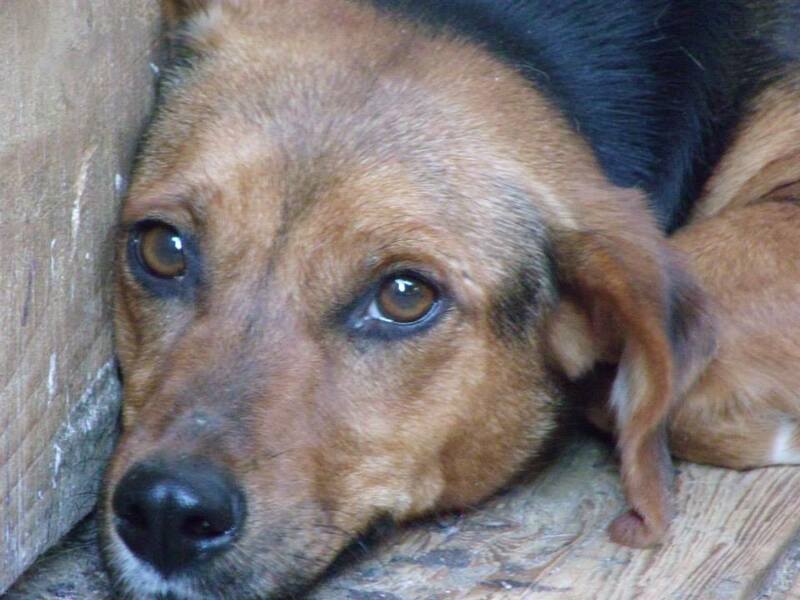 If an activist comes and asks what is going on, a veterinarian appears from nowhere saying that the missing dogs “have been humanely euthanized since they were old and sick”. If the veterinarian is really very forthcoming, you will be presented with papers signed in one of the aforementioned “business” meetings. 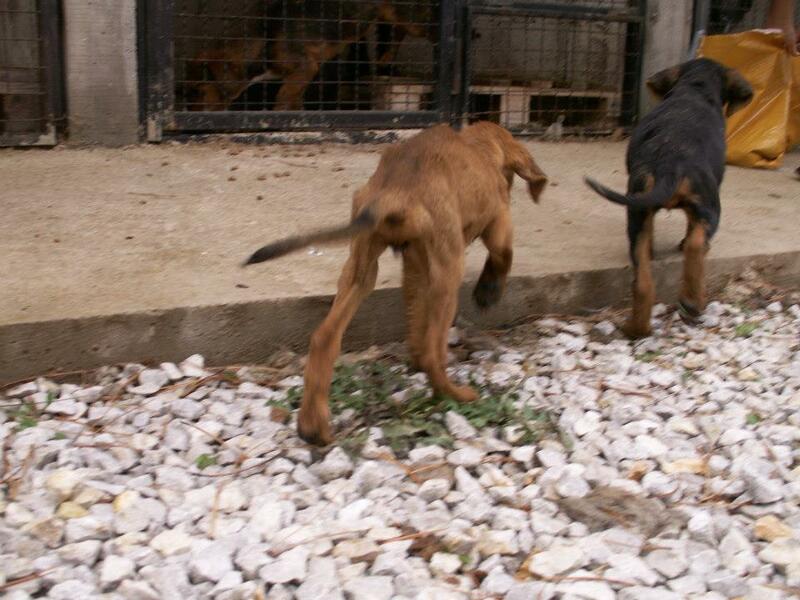 e) “Fools dealing with dogs” (activists) visit the shelter, and after visit they publish photographs and video clips. 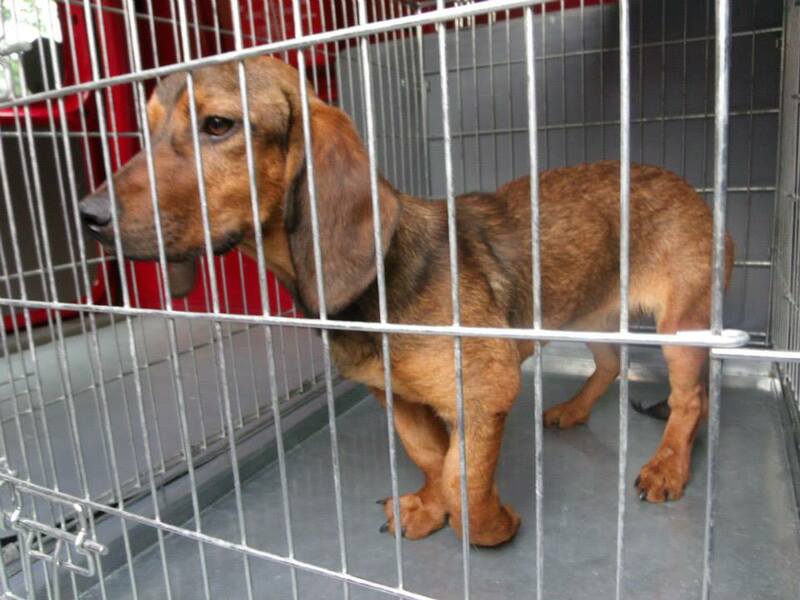 After they have published these photographs and video clips, they are banned from entering the shelters. f) Dogs die of hunger, illness, thirst. 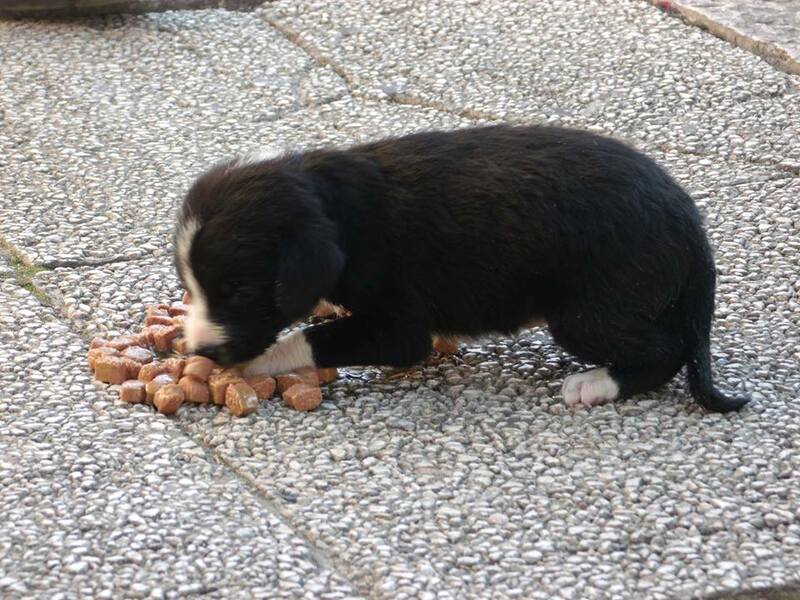 Great amounts of dog food are registered in the accounts as being bought for the shelter. The dogs don’t see any of it. 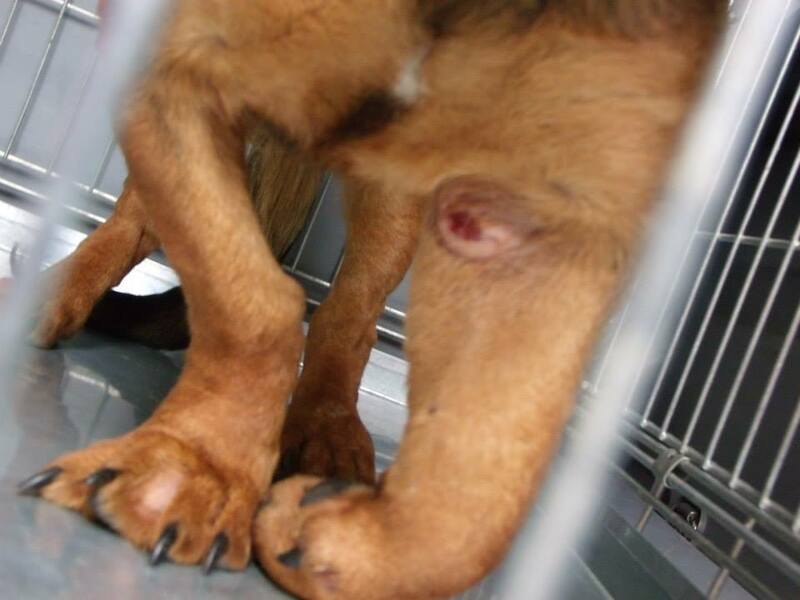 g) Dogs breed in the shelters.. and yet the veterinarian registers castration and sterilization. 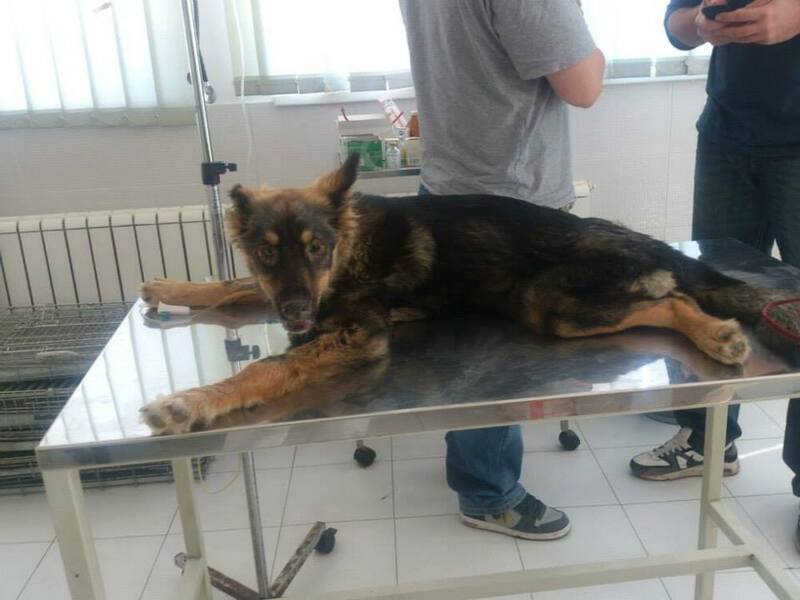 The veterinarian also registers vaccines and tablets against parasites. The veterinarian registers treatments. 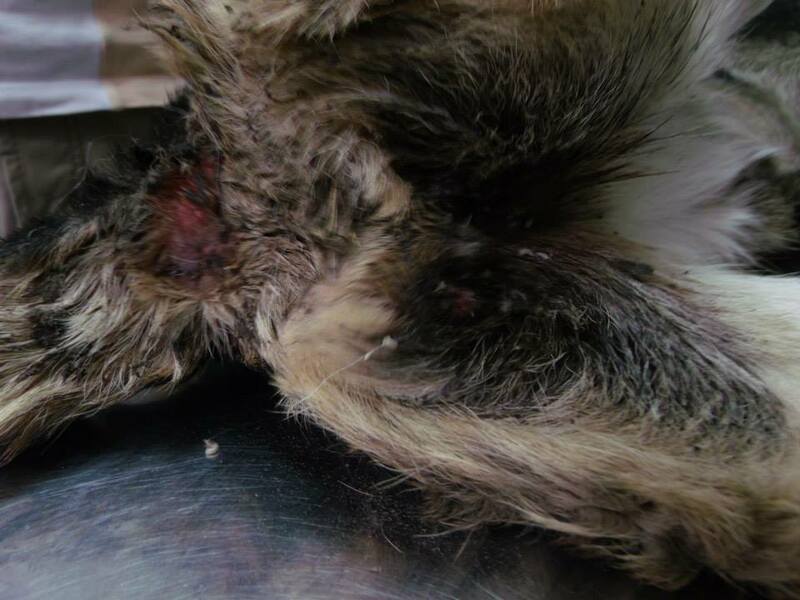 The dogs continue to breed, become full of parasites, wounds are left untreated. h) Most municipalities have published reports on the consumption of budget assets from, let us say, 2006. There is not any a trace of money. i) “Experts are searching for homes” for the dogs, but it is impossible to find the shelter in its godforsaken location. 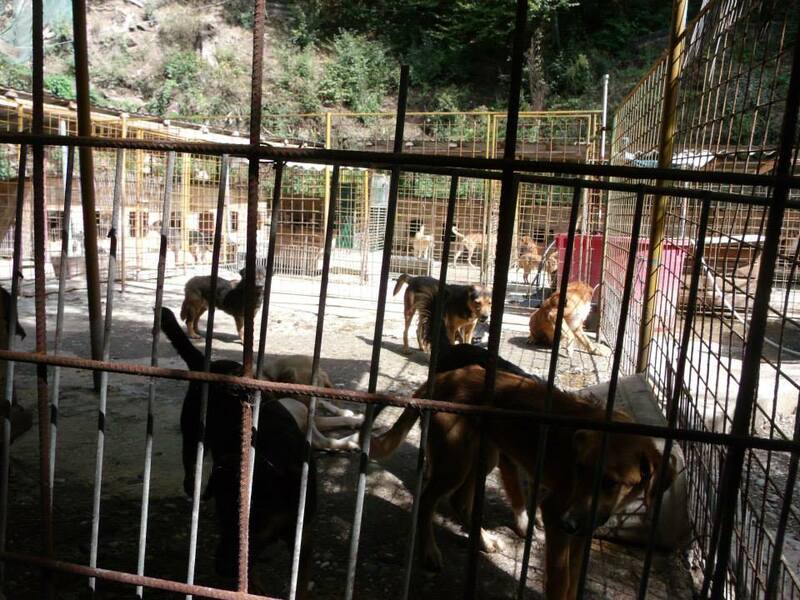 Almost nobody from the local community knows that there is a shelter there, and when you finally find it, they tell you that 100 people come to them in a month and adopt dogs. 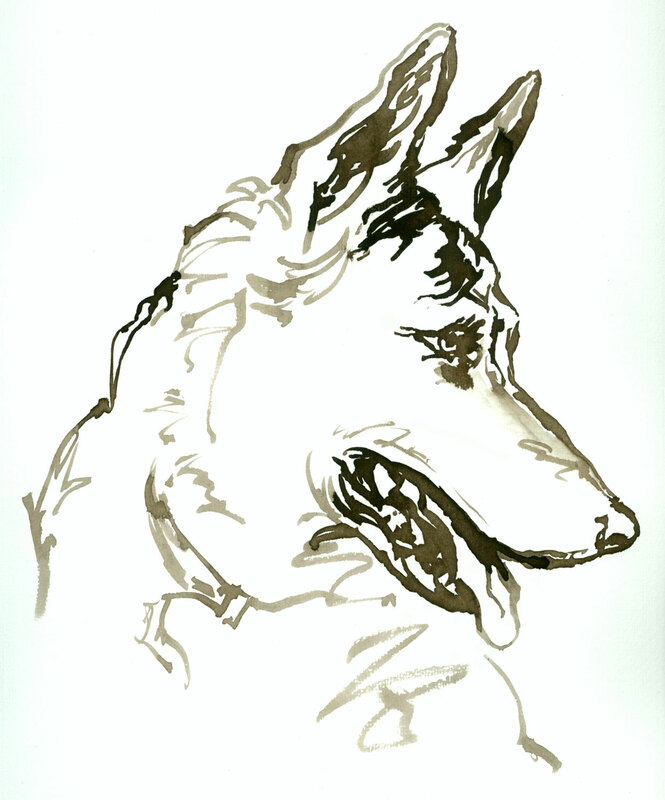 j) During foreigners’ visits to the shelter, they present the papers. Then the foreigners tell activists they are fools. The media take statements from the Director, Mayor and foreigners. And therefore, professional reporters, using proper sources of information, inform the ignorant people of a great Mayor and his even greater buddies. l) Dogs are being killed and die in suffering. 1. 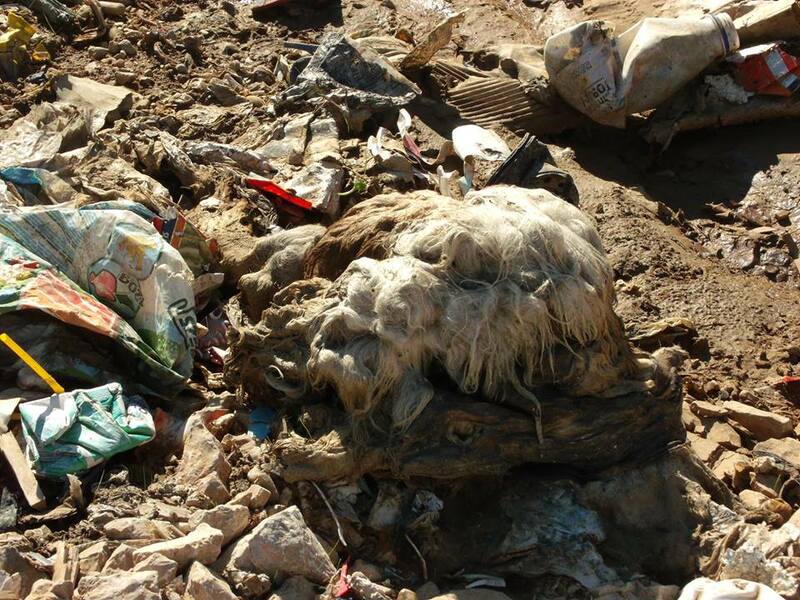 As a local “boss“ and the Mayor of some small municipality, or as the people call it “in the middle of nowhere”, you take a few hundred from the budget and call local service providers, who see themselves as a hygiene service, to immediately kill dogs found in the territory of the municipality. 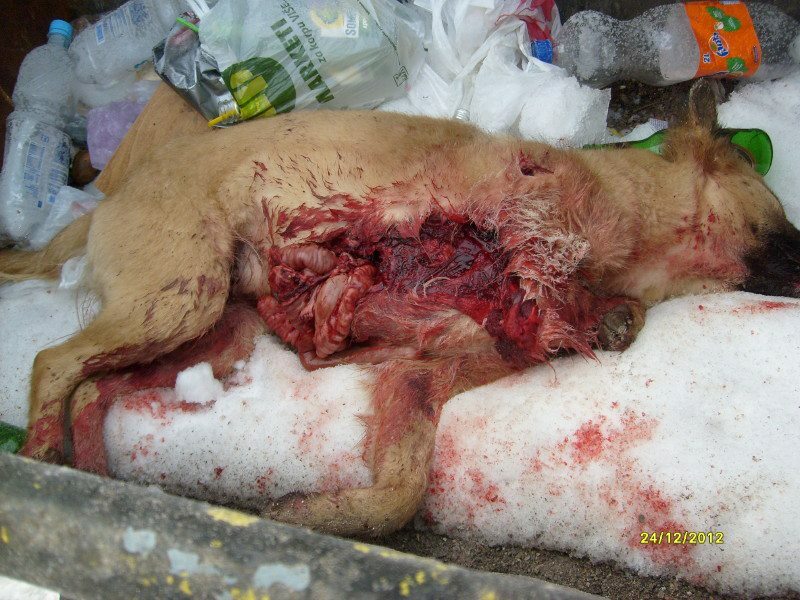 Then the media reports on poisoning of dogs. The mayor puts in the book “care of dogs in the shelter”. Later, activists come and the authorised persons become unauthorised. Then the activists have come, and the authorised persons become unauthorised. The mayor, veterinarian and the police have eaten so much roast lamb, they are still digesting it. 4. 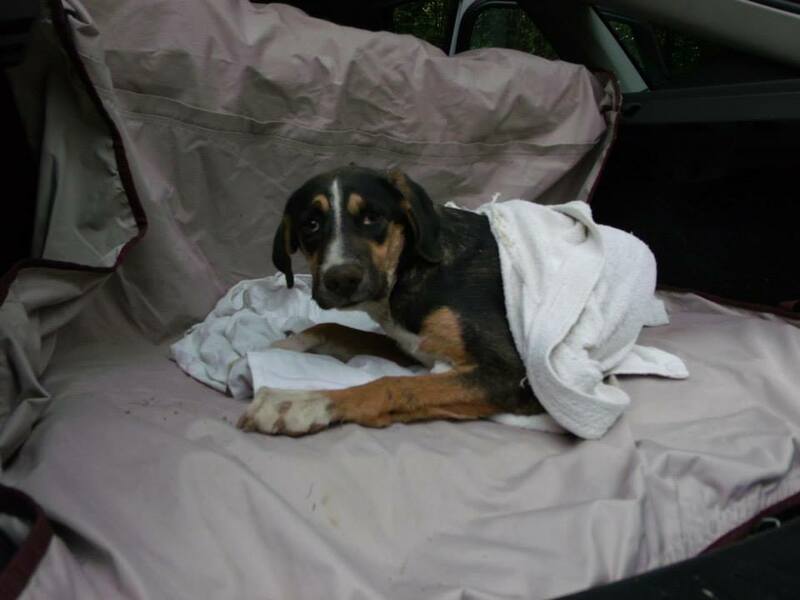 Everything is done professionally and in accordance with the Animal Welfare and Protection Law of Bosnia and Herzegovina. 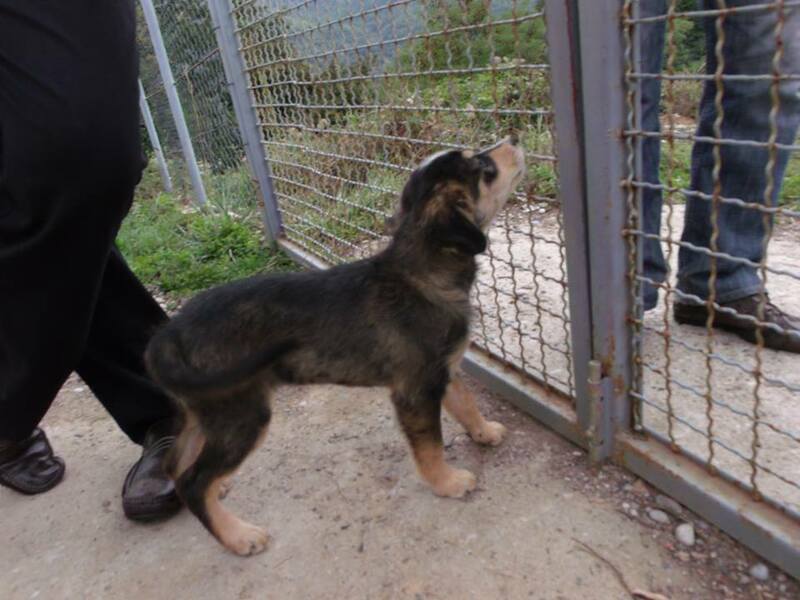 This week animal welfare activists from Sarajevo visited dog ‘shelters’ at Foča and Gorazde, about 100 + KM from Sarajevo. 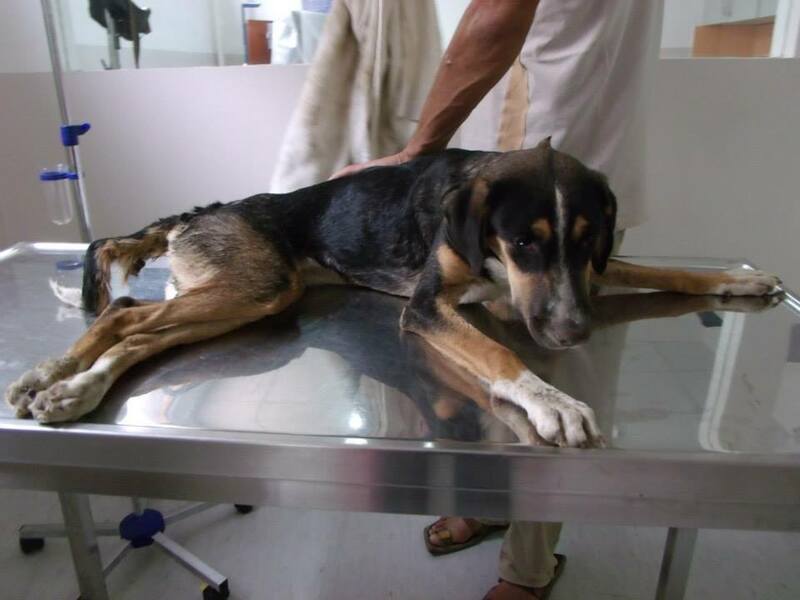 One of the dogs saved during this trip is Lucia, a sweet dog, virtually starved and with a critically injured paw. 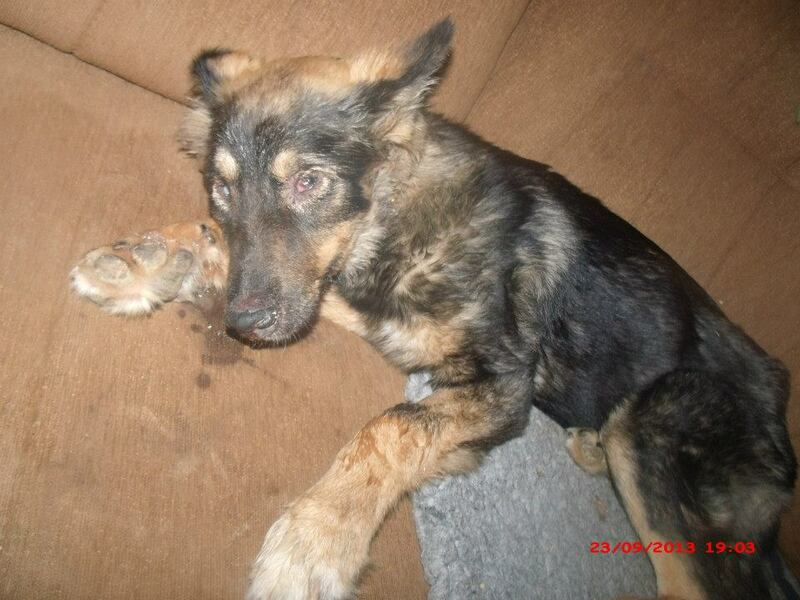 She was taken to King Pension in Sarajevo and today will be operated on to see if the paw can be saved. 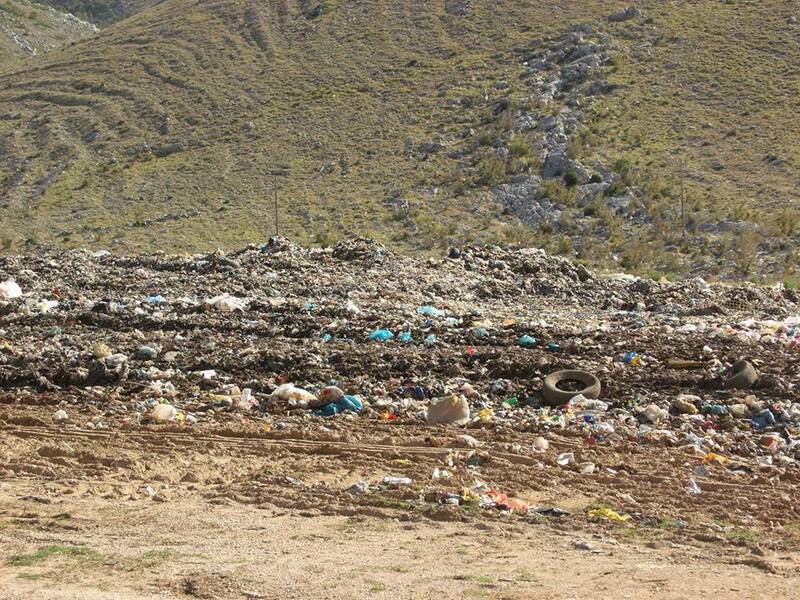 The cost of this operation is estimated at 225 euros (approximately 300 USD). 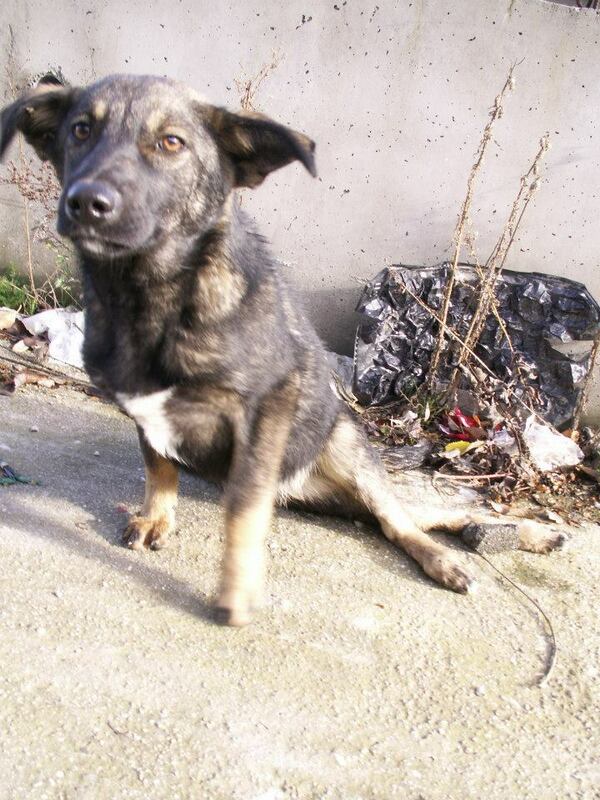 The cost of her stay in King Pension (the best in Bosnia, the only one that is suitable to take care of such a thin and injured dog) is 120 euros (160 USD) per month. 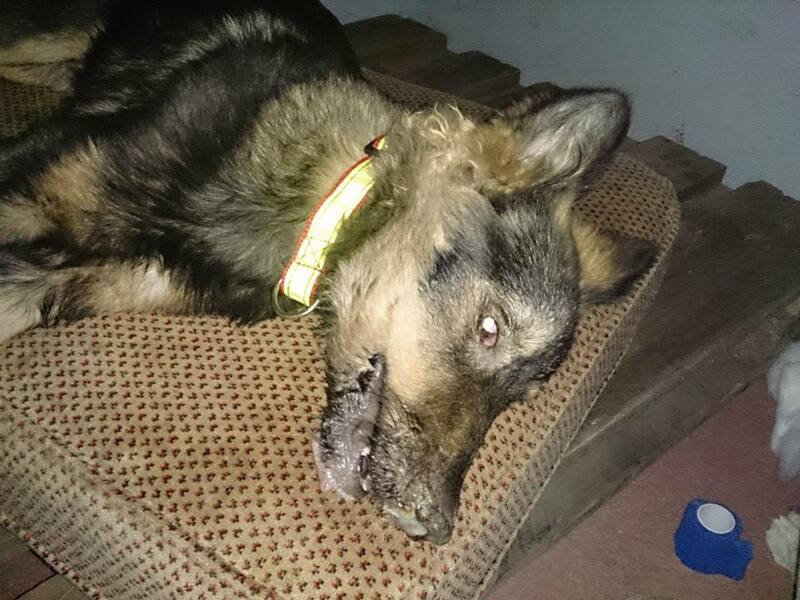 Funds are desperately needed to take care of her. 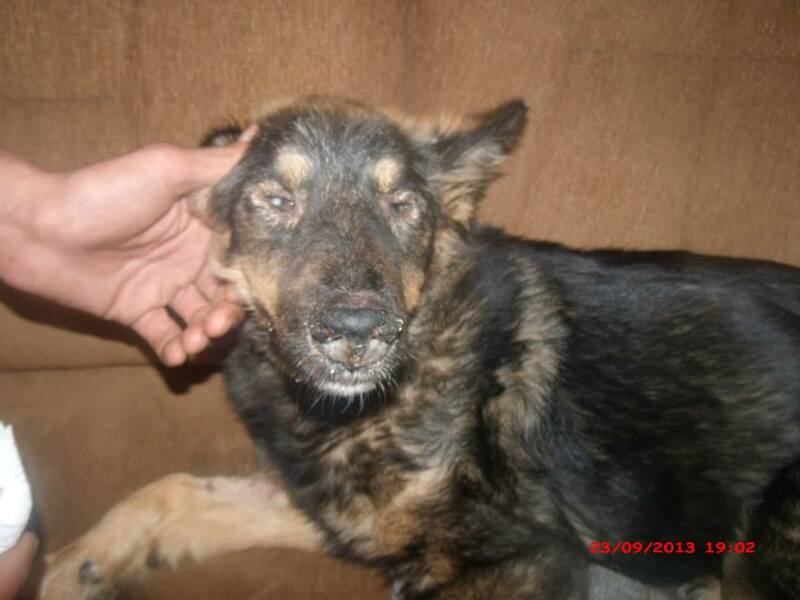 If you can help please send donations via Paypal to donations@awabosnia.org – mark ‘for Lucia’. For more details. see the bottom of the page. 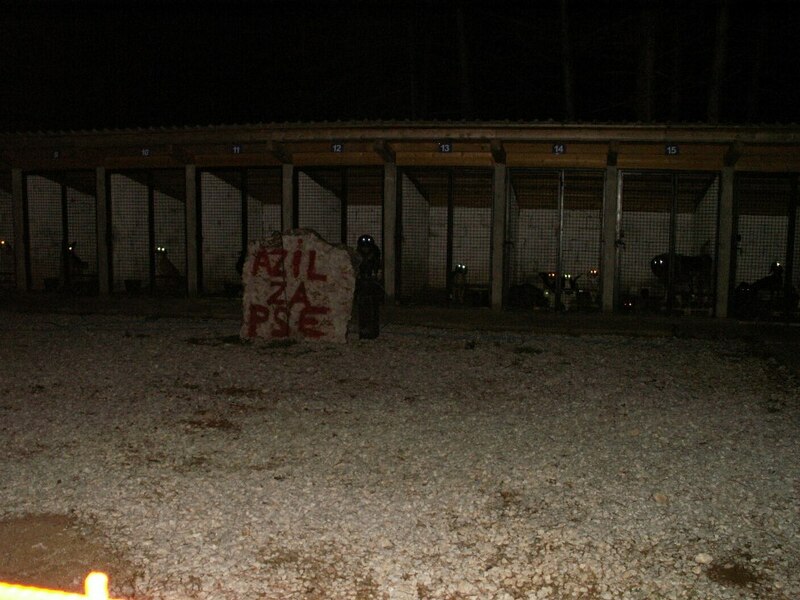 Gorazde shelter is situated in a small area in the middle of the woods, housing about 150 dogs. Dogs there are given terrible treatment. An employee told the activists that a vet comes once in a while and just randomly chooses dogs to be killed. “What we saw there can’t be described with mere words but only feel, I was screaming,” said one of the activists. 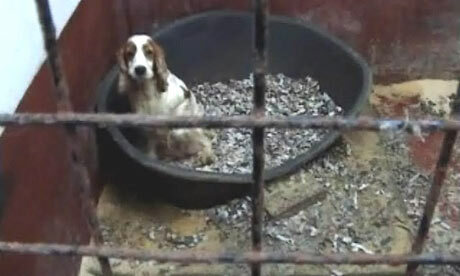 The dogs are stuffed into small, filthy cages and given dry bread to eat, nothing more. 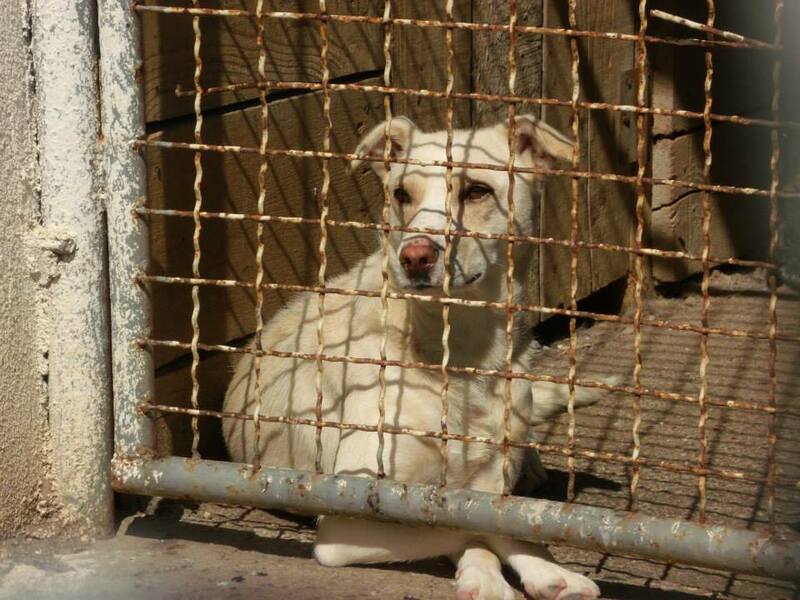 Taking photos and walking around is prohibited by warning signs, all photos of the shelter were taken undercover, but only a few could be taken. 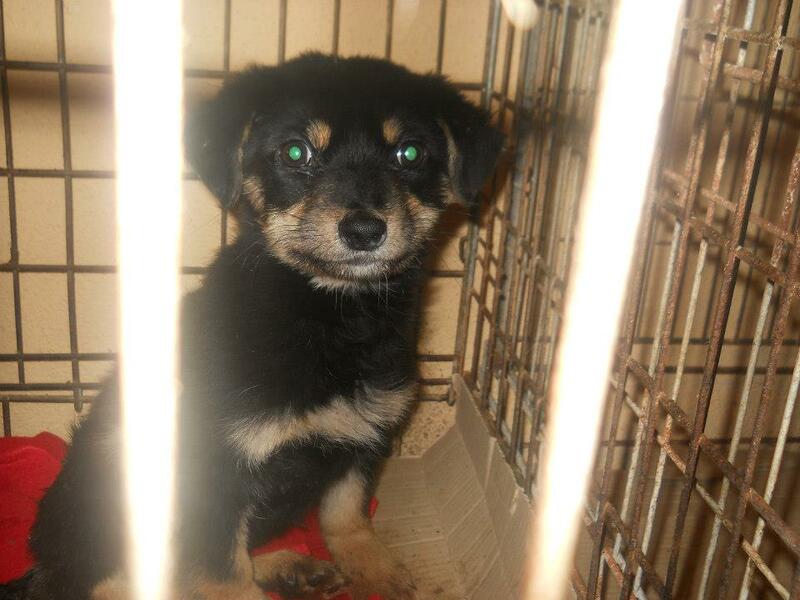 This little girl below, called Mica, lived in a cage in Gorazde with 15 other dogs who wouldn’t allow her to eat or drink. 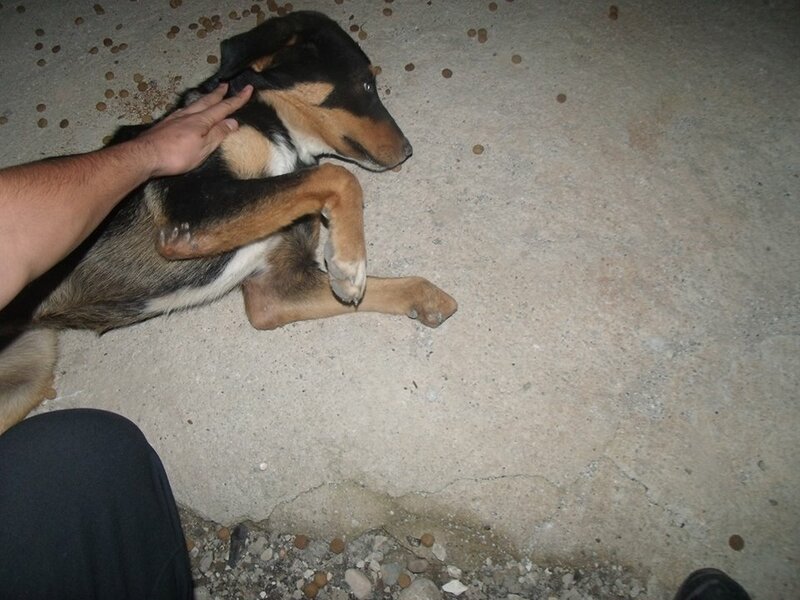 “She was shaking and practically begging us to save her…” said the activists. So they did. 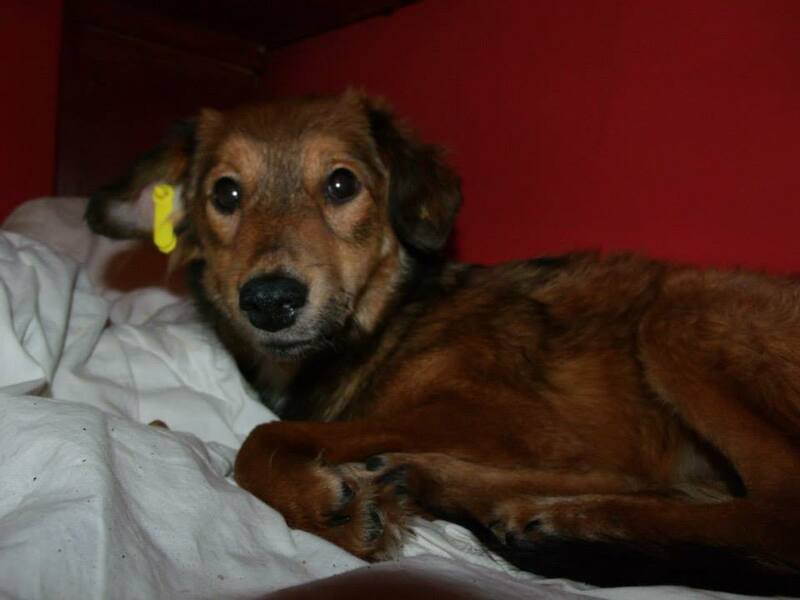 She is currently in foster home but will need either to find a long term home very soon or be put into pension (kennels). 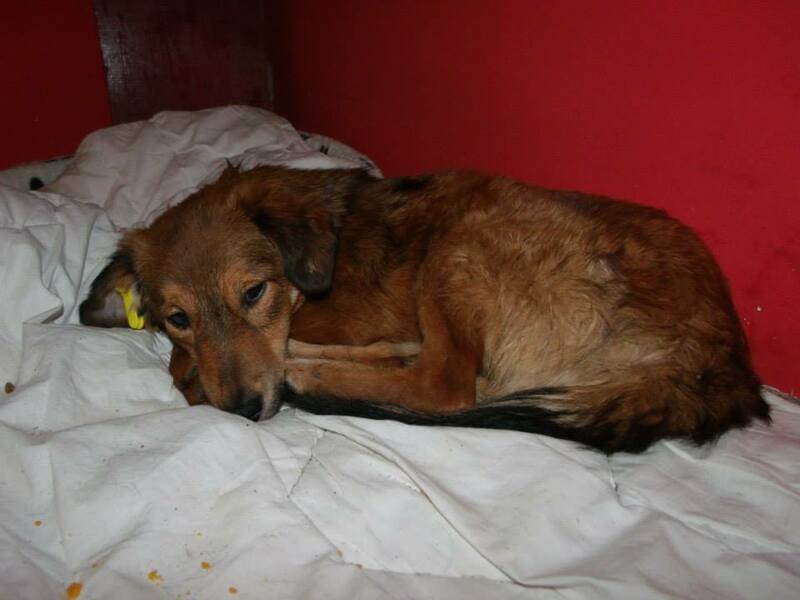 If you can help please contact us or perhaps you can make a donation towards her care. 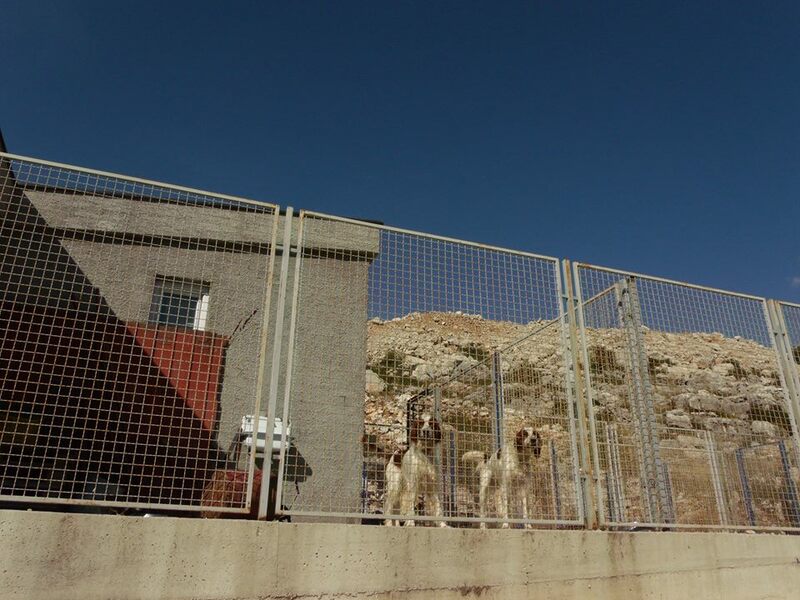 The man that worked at Foča shelter told them that they need all help possible and that they can’t manage to take care of the dogs adequately without assistance. 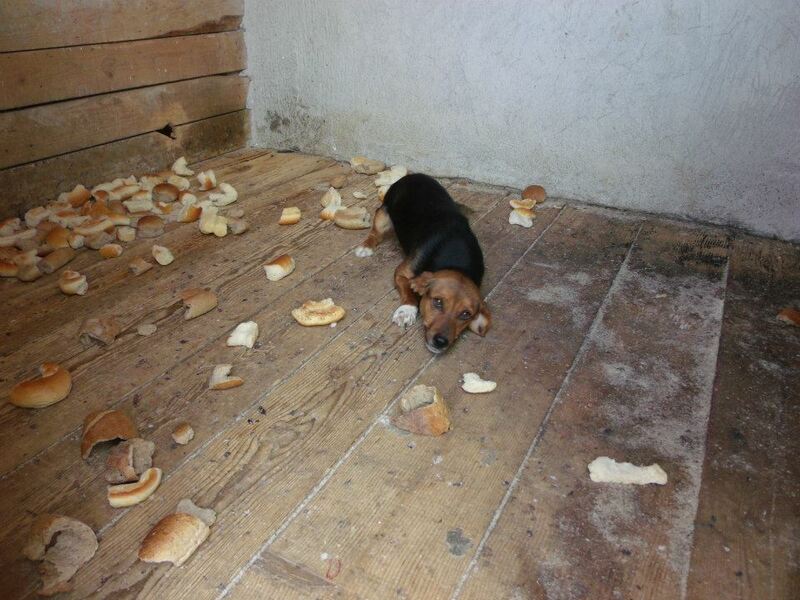 Currently there are 5 dogs there, and they are only fed white bread. 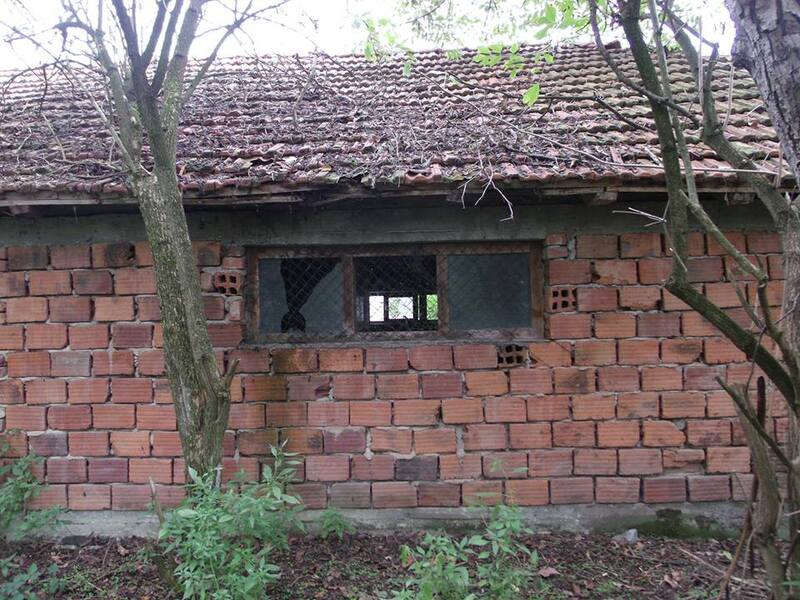 However, compared to other shelters and to Gorazde, this shelter is not so bad. Conditions are clean, but there is no adequate protection for the winter where temperatures can drop to well below freezing. 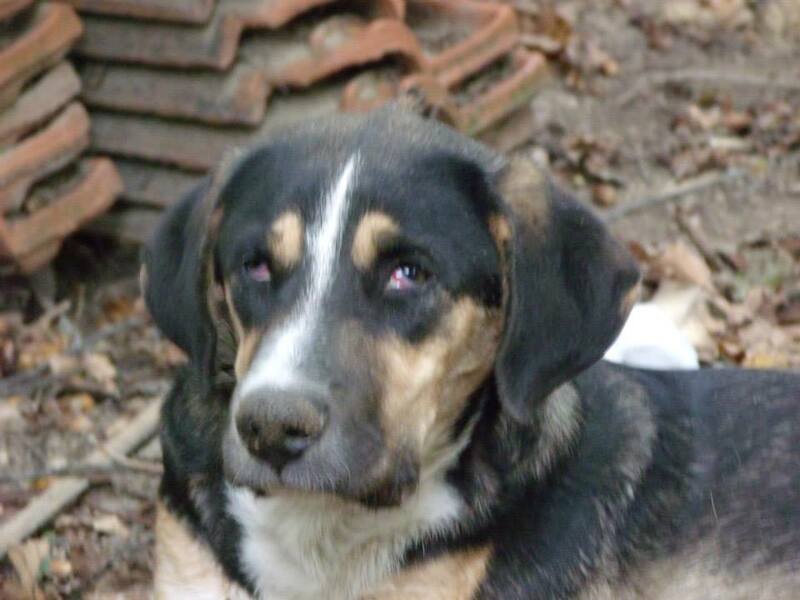 But the activists saw that the man working there really gives his best: “Dogs walk after him and listen to him well.” We started a Facebook page to help these five dogs: Saving the Dogs of Foča. 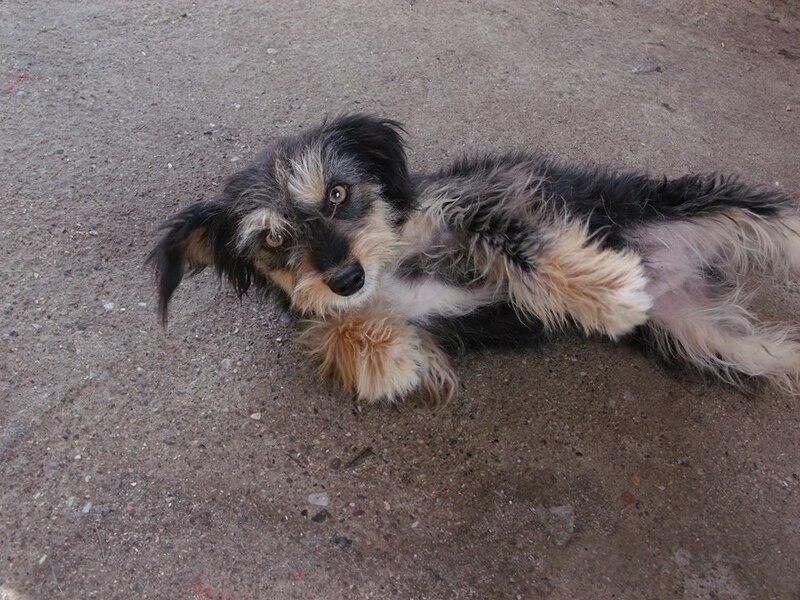 One of the dogs may have a home in Sarajevo, and the little one we call ‘Scruff’ might have a sponsor to take her out of the shelter and into a pension in Sarajevo. 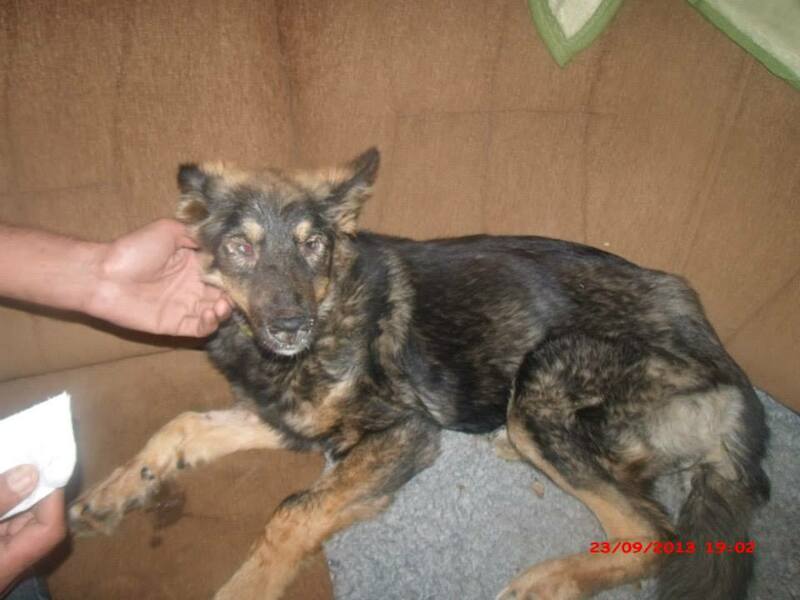 But this lovely dog we call Alexia has an eye condition and might be going blind. 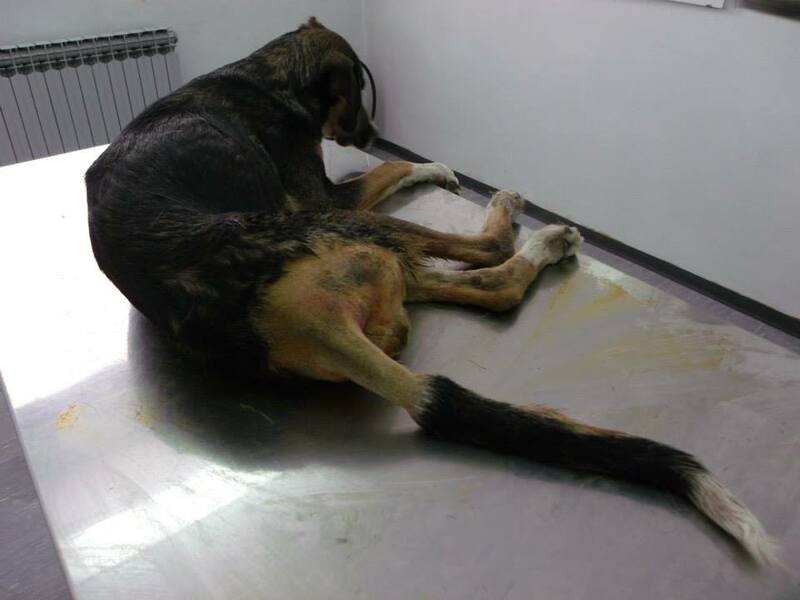 We are trying to raise funds for a vet to give her an examination: Funds are needed to keep them fed on proper dog food and warm in the winter. 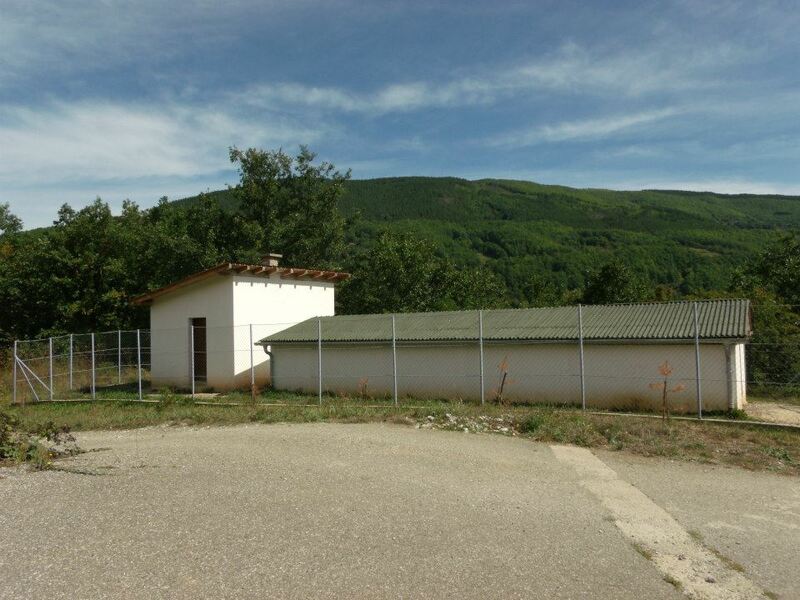 Every trip to Foča shelter to deliver food etc costs about 50 euros (70 USD) in petrol, one 20 kg good quality food costs – 40 euros (55 USD), one 20 kg bag low quality costs 20 euros (30 USD). This will feed 5 dogs for about 10 days. 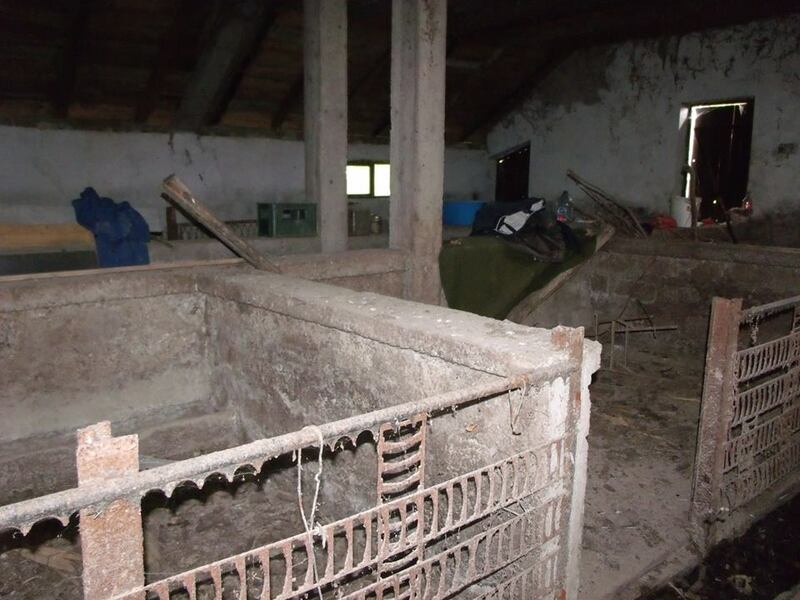 The trip to Foča and Gorazde shelter is part of a project to investigate and document contraventions of the animal welfare law in Bosnia, which requires that dogs are kept in good conditions in shelters and that only suffering dogs be ‘euthanised’. 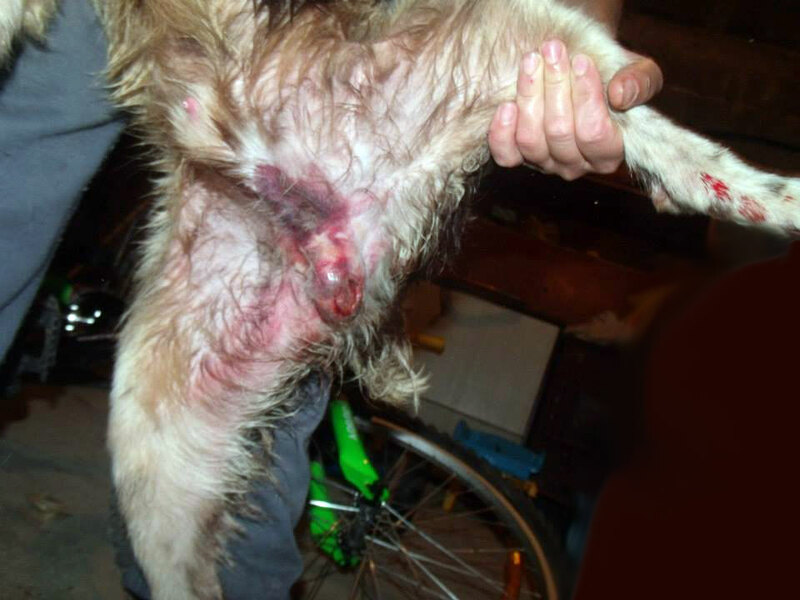 It is well known that dogs are routinely killed in shelters, regardless of health, and usually by extraordinarily inhumane methods: injections of bleach, clubbing and so on. 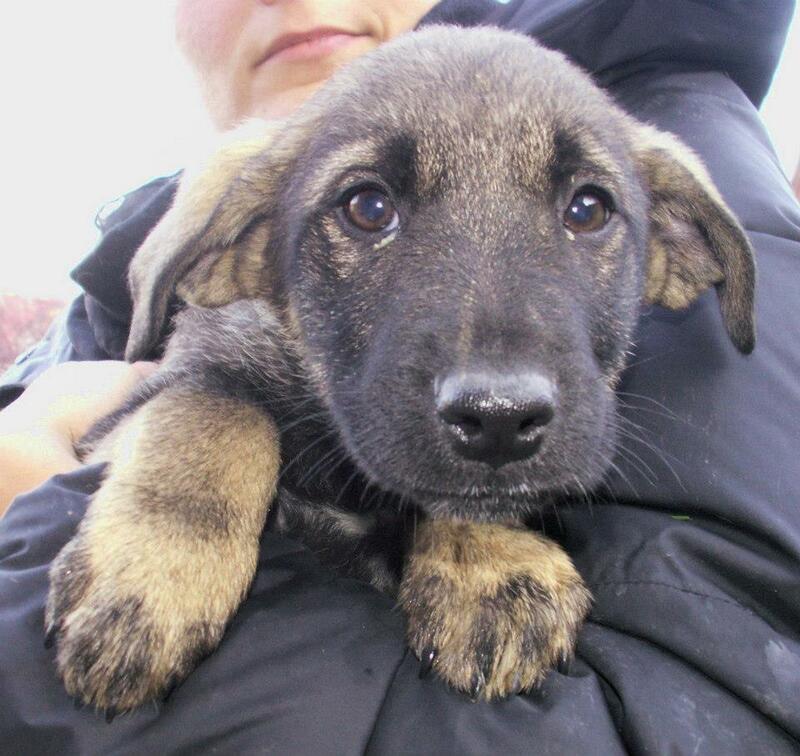 The next session of the BiH Parliament will be held October 5th 2013 and at the session the issue about the animal welfare law in Bosnia will be heard. Examples of the law being violated are critically needed for presentation at the session. 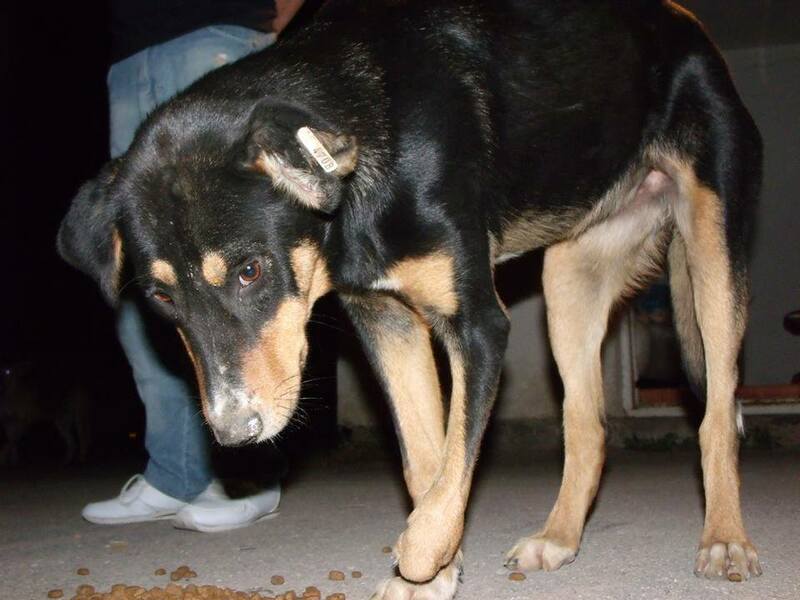 Please sign the petition on this post BOSNIA! 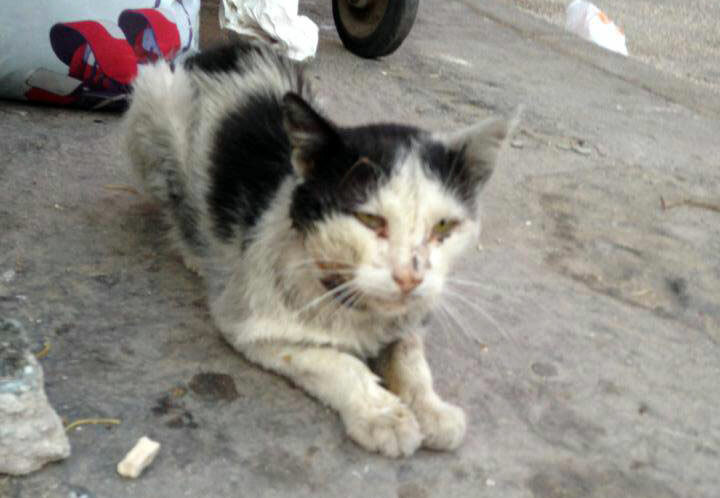 IMPLEMENT HUMANE STRAY-DOG AND CAT POPULATION CONTROL AND TREATMENT.